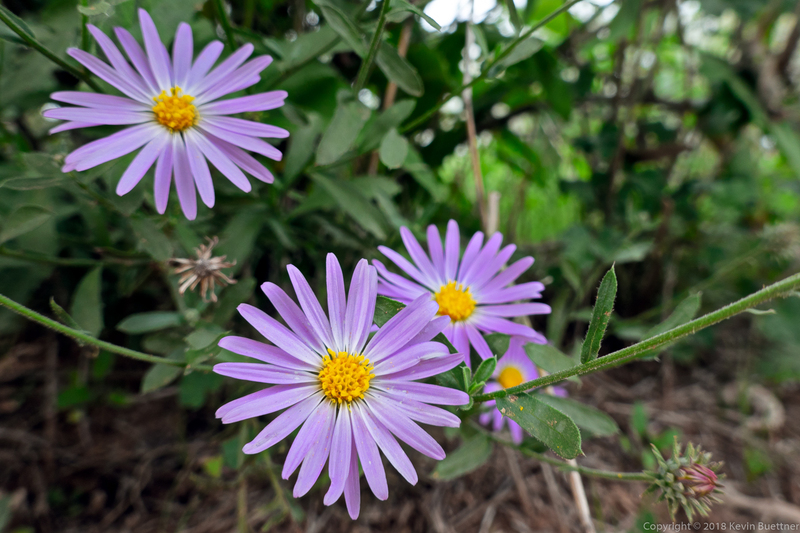 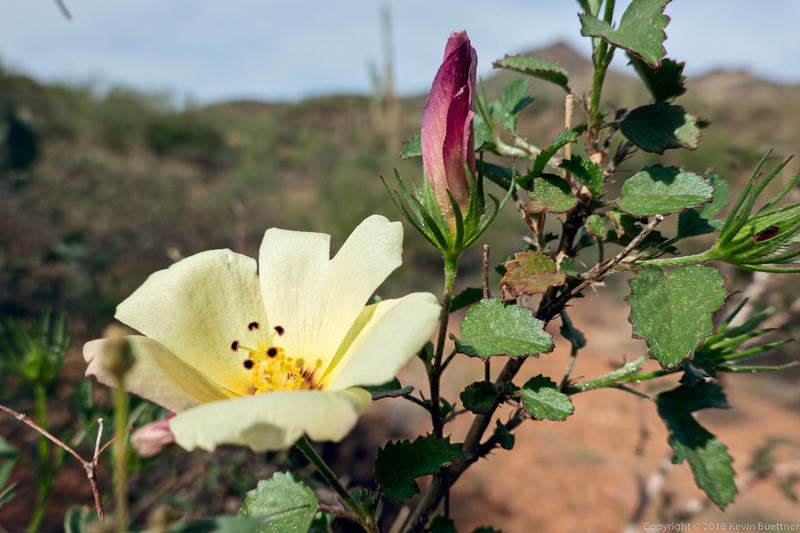 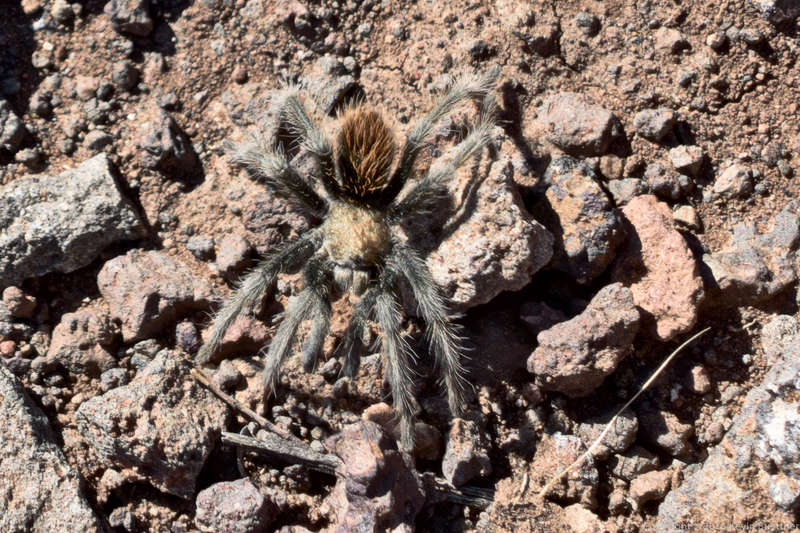 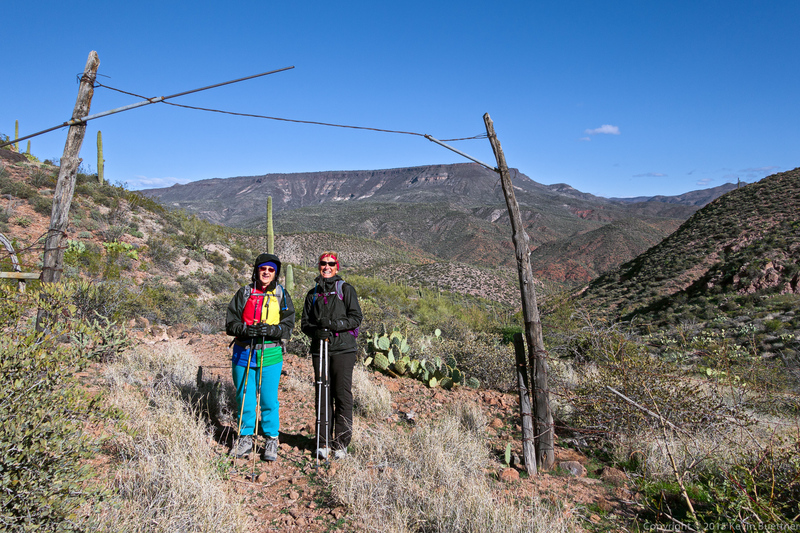 Marilyn and I went out to Spur Cross Ranch Conservation Area on Sunday. 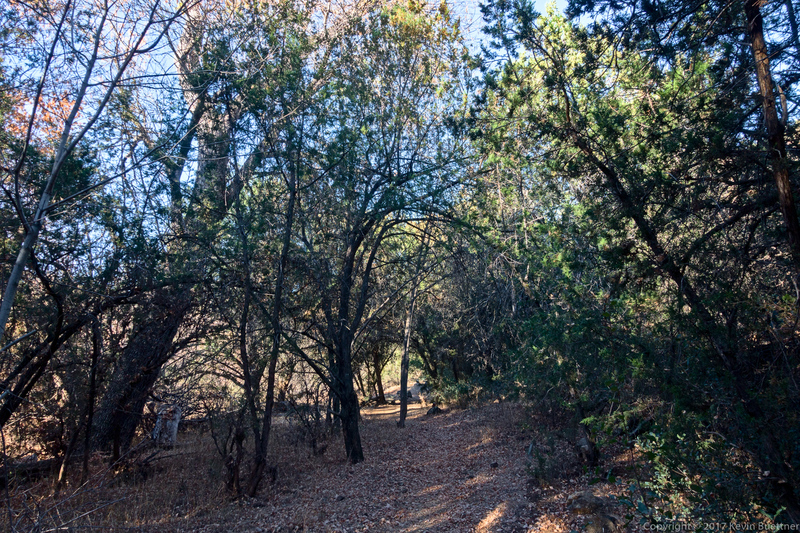 Marilyn hiked the Elephant Mountain Loop. 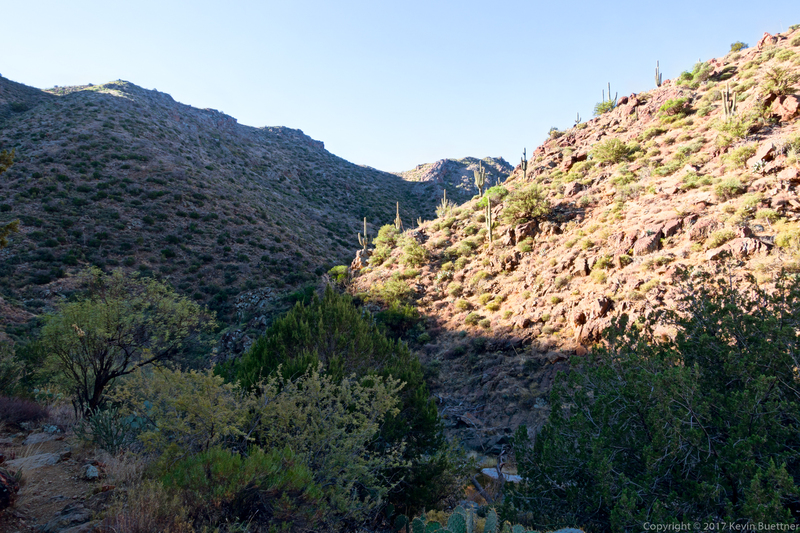 I hiked out on Spur Cross and then hiked the Limestone Trail. 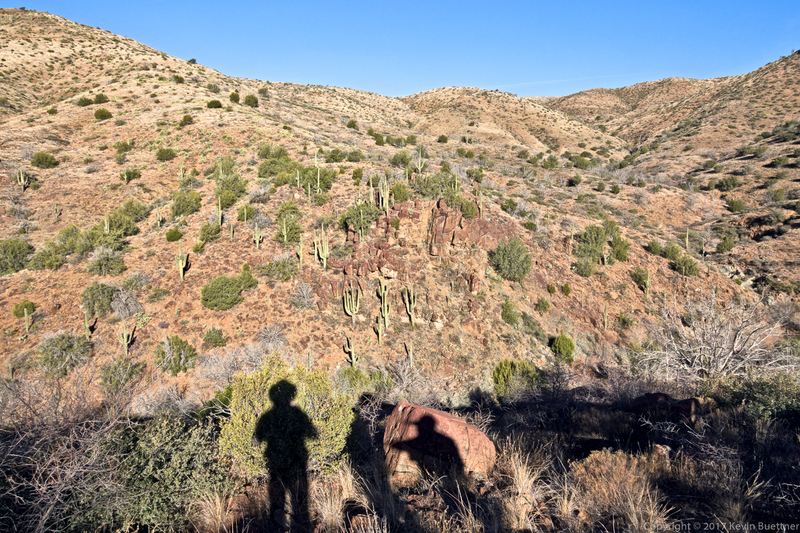 At the end of it, we met up and hiked most of the way back together, first on Elephant Mountain, then Tortuga, and Spur Cross. 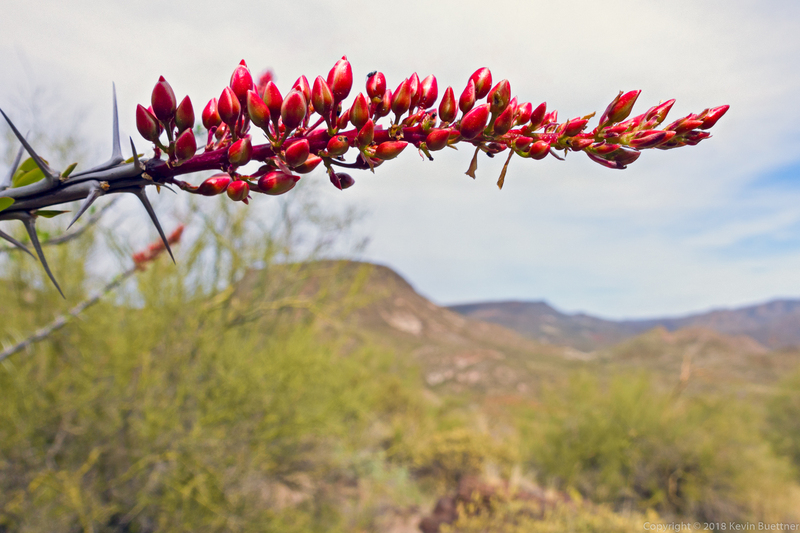 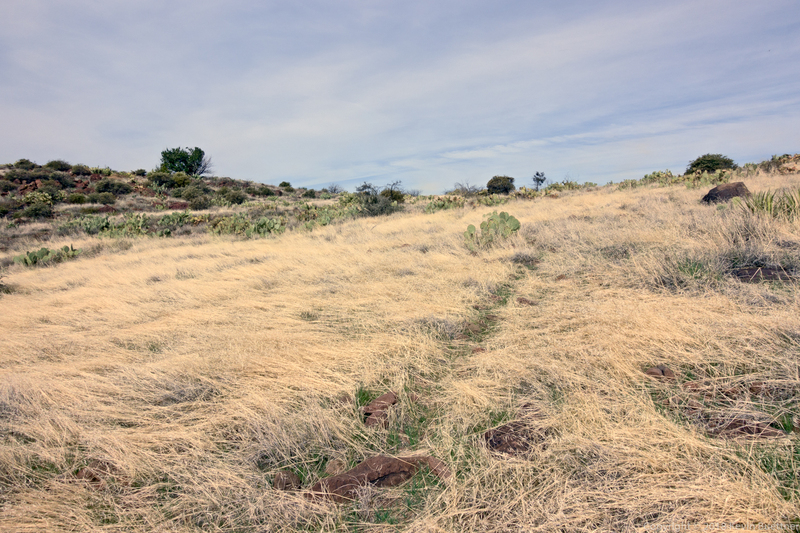 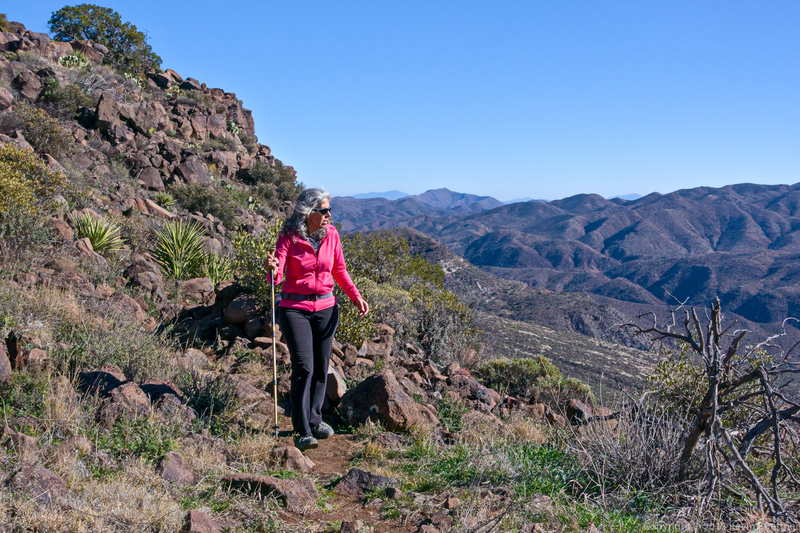 I ended up hiking Metate and Towhee before returning. 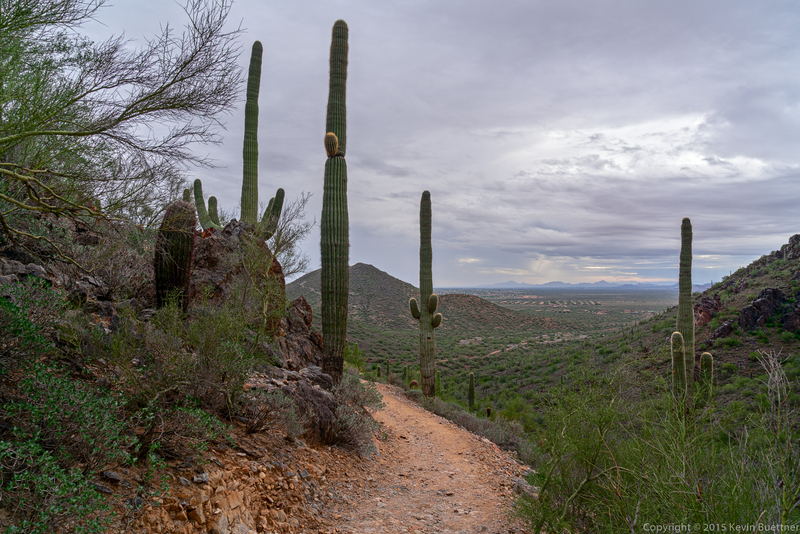 Total distance for my hike was about 9.5 miles. 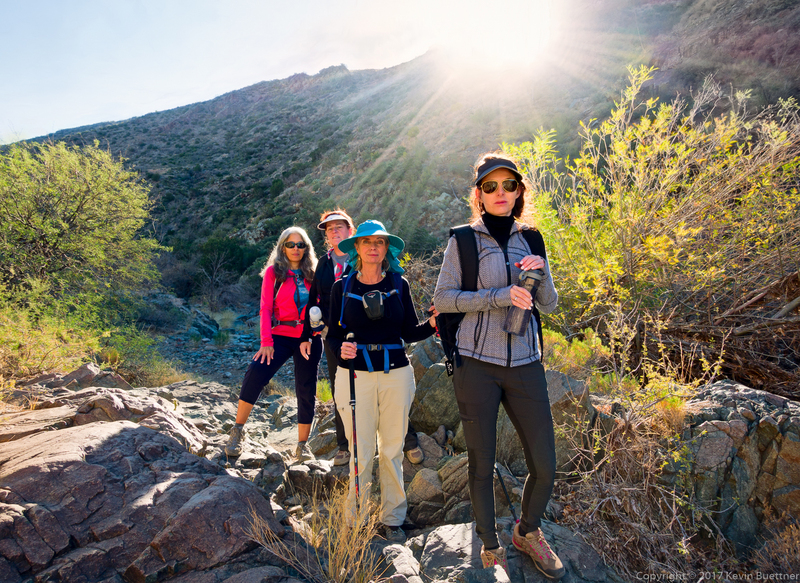 Marilyn hiked 7 miles. 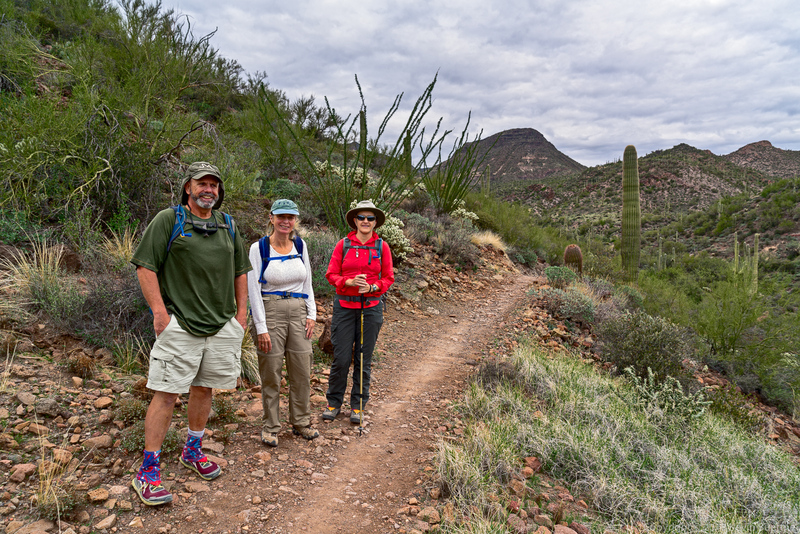 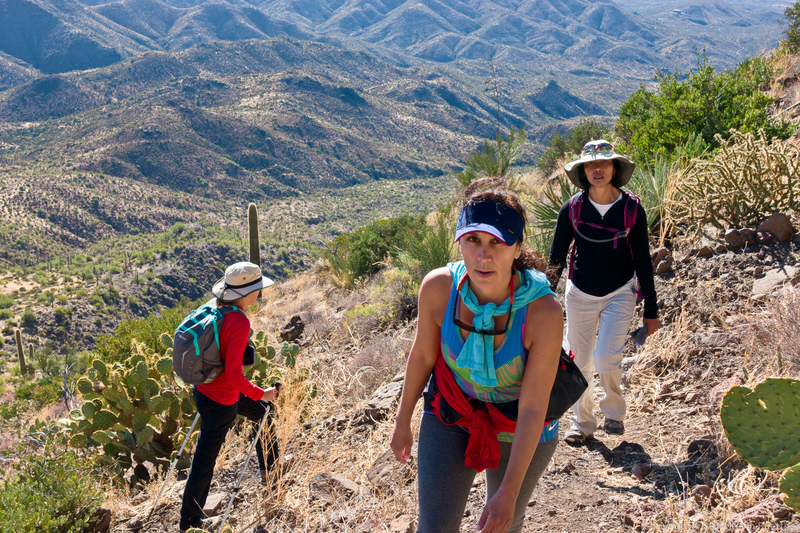 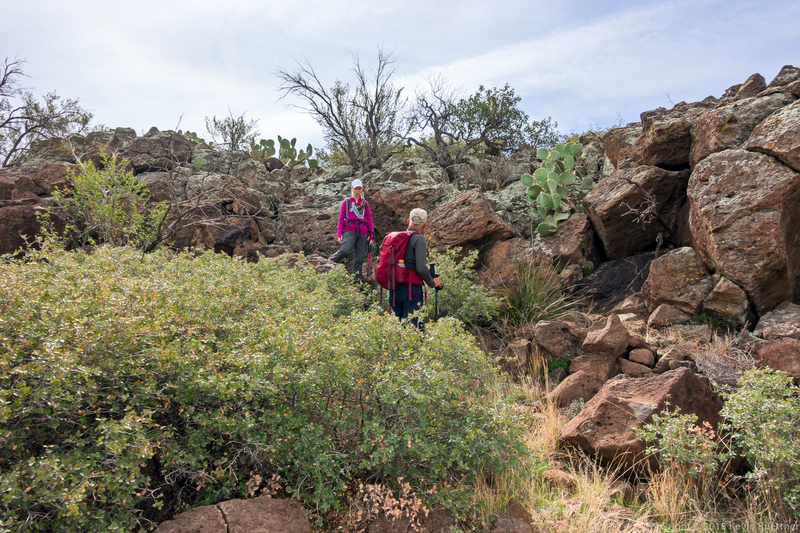 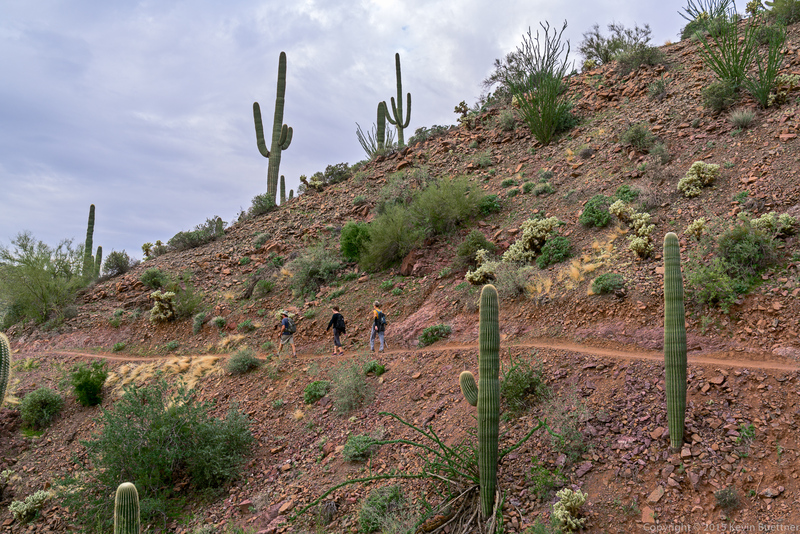 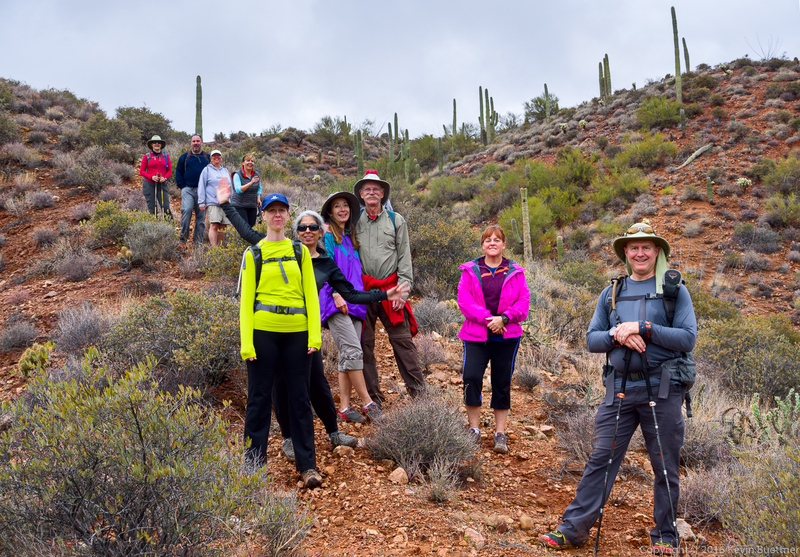 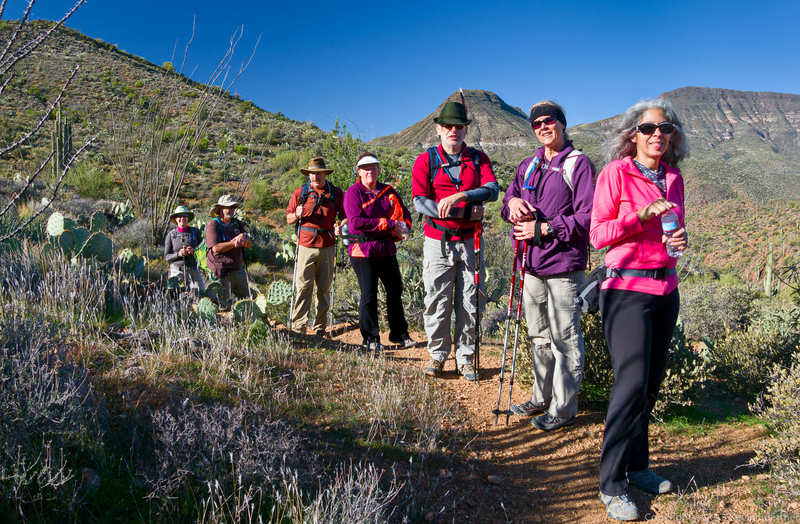 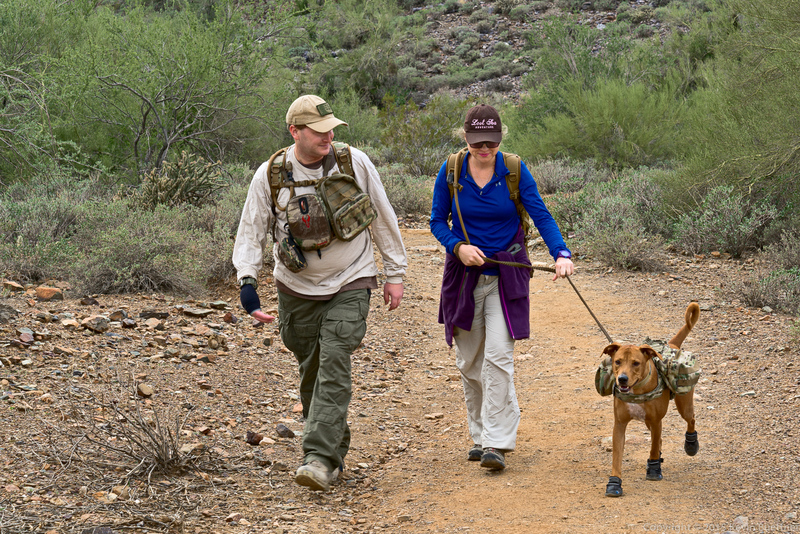 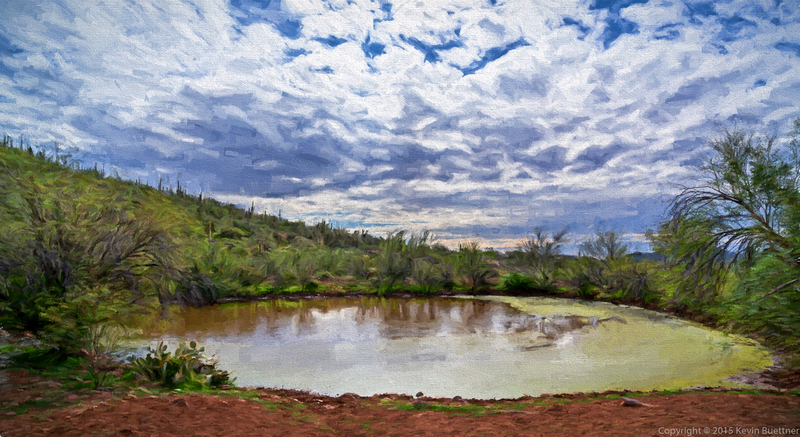 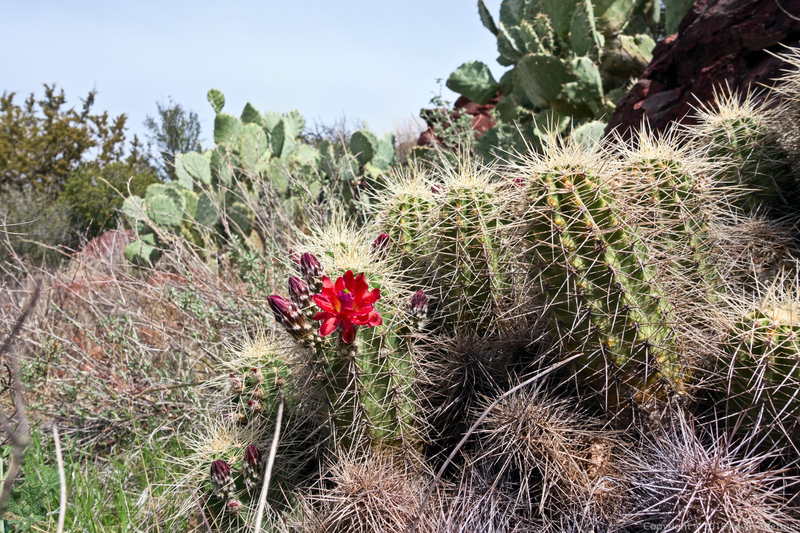 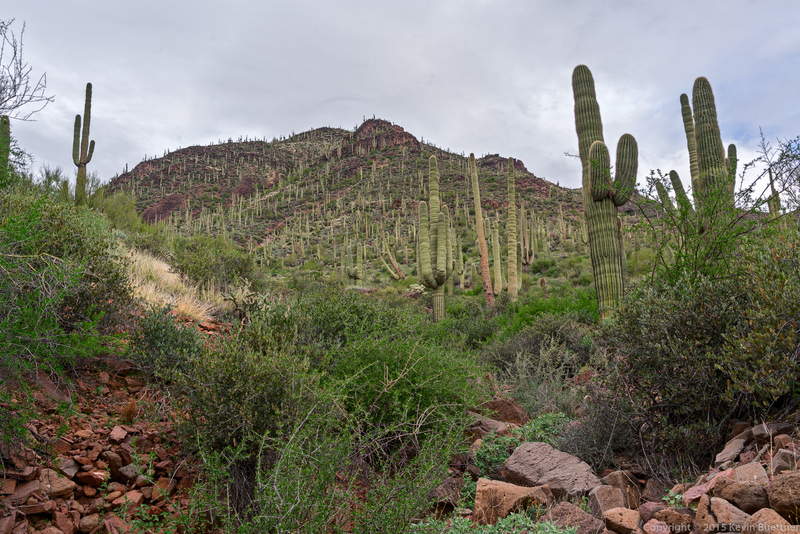 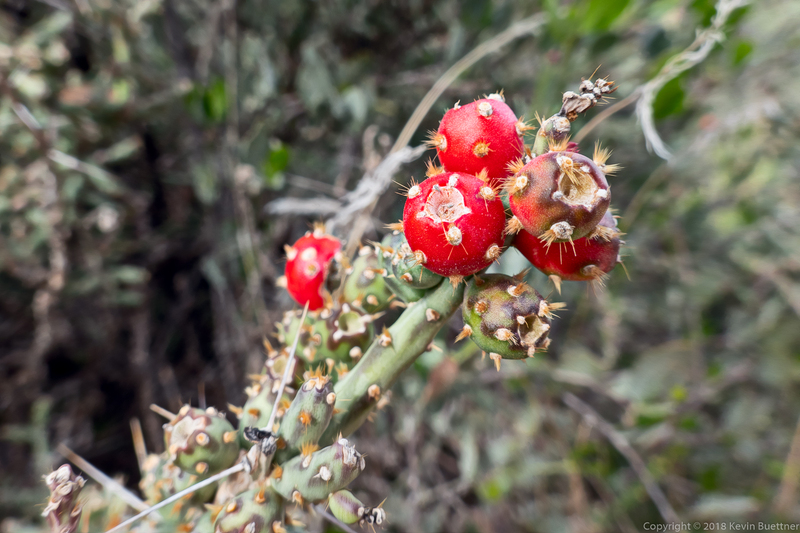 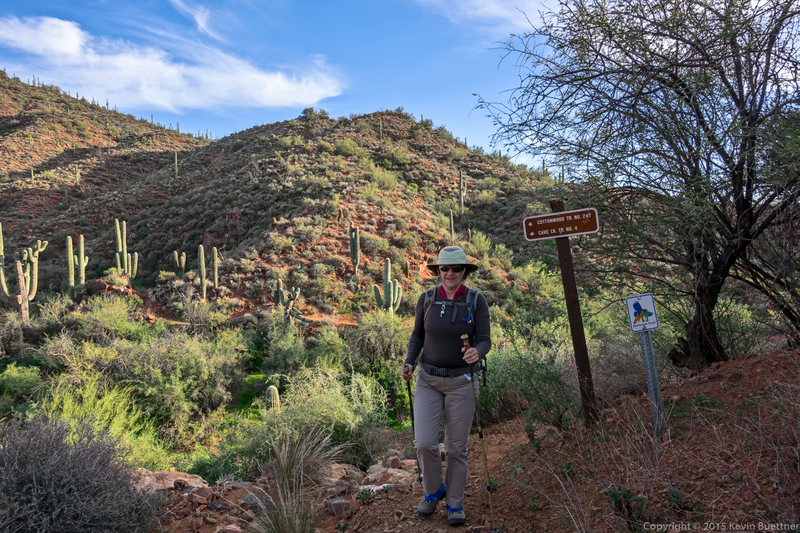 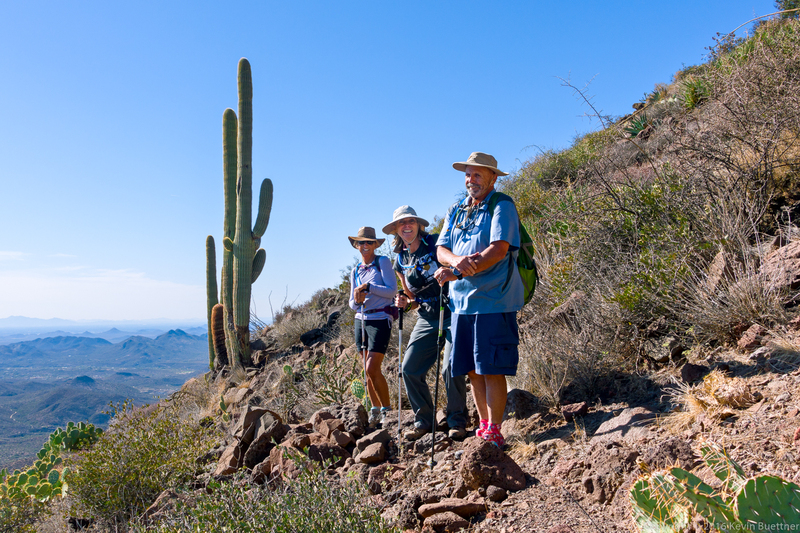 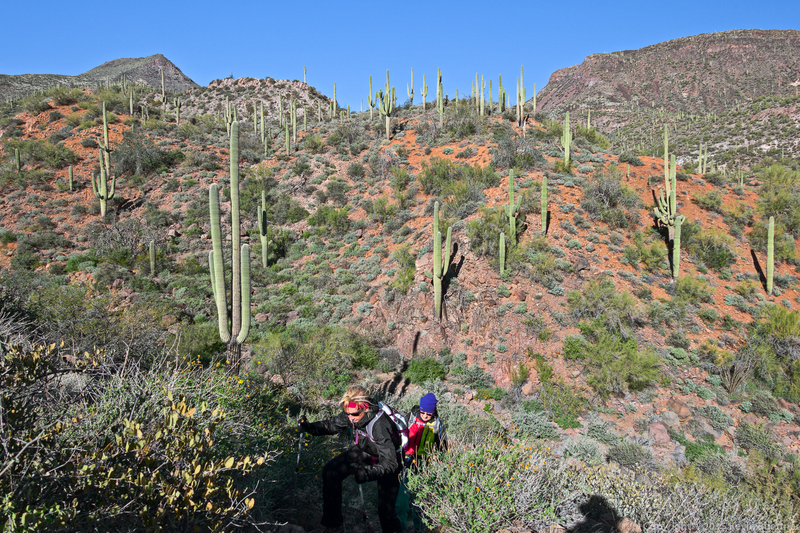 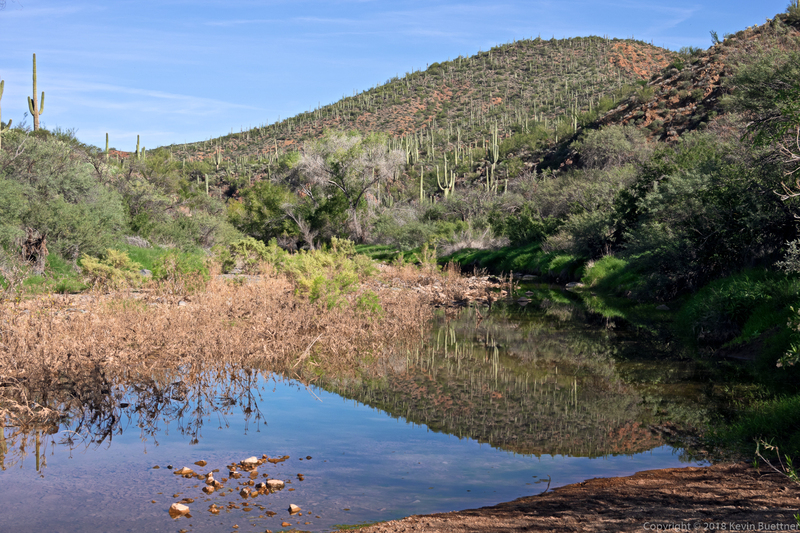 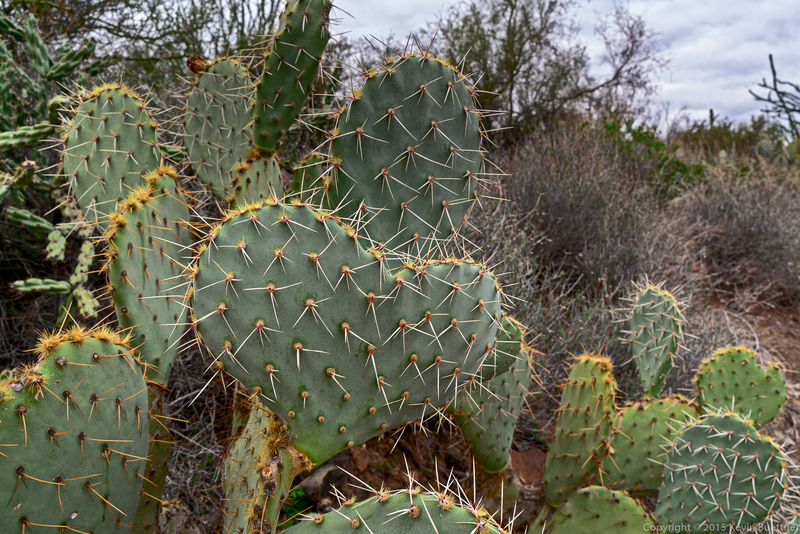 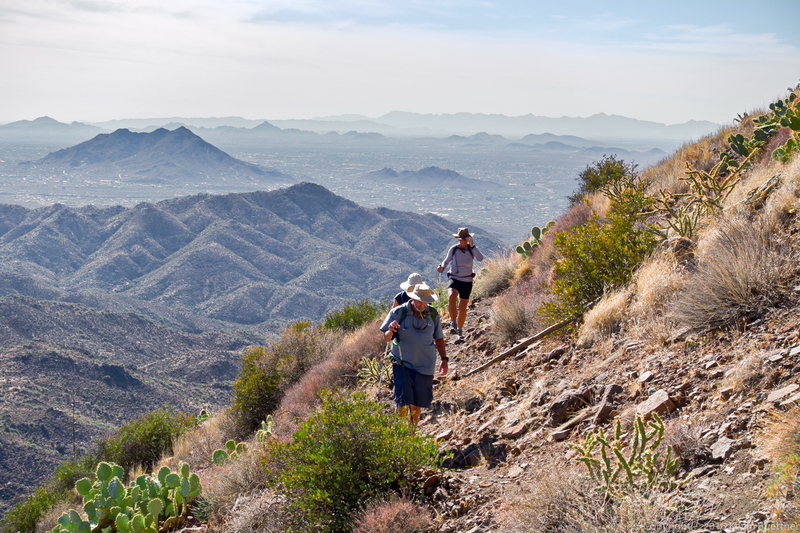 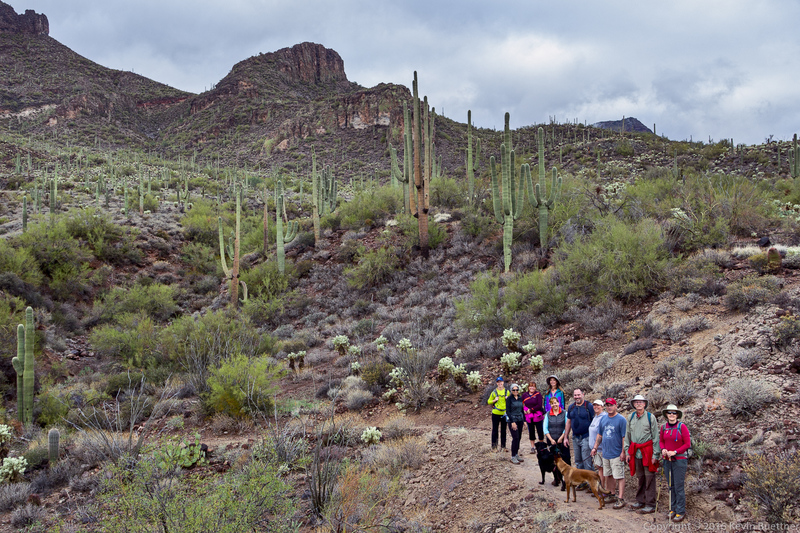 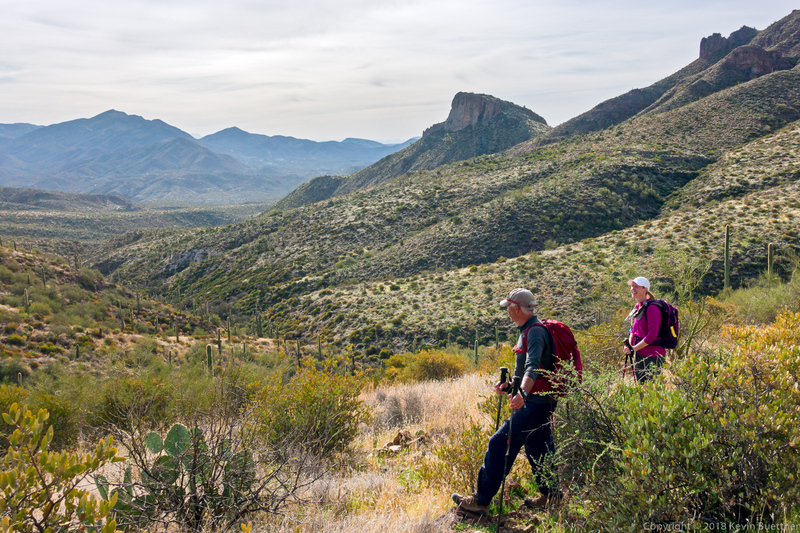 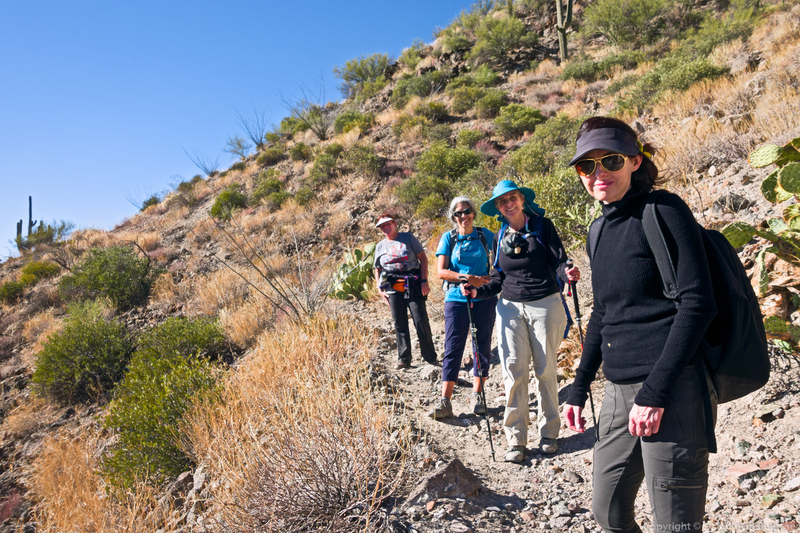 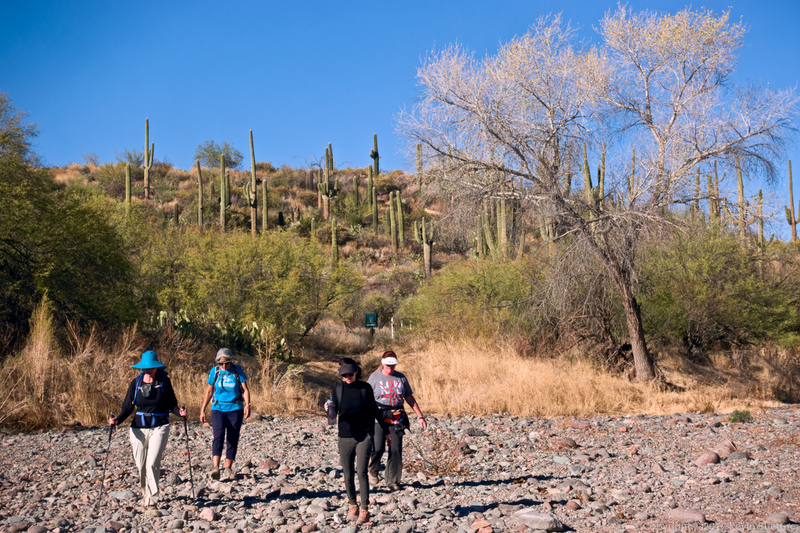 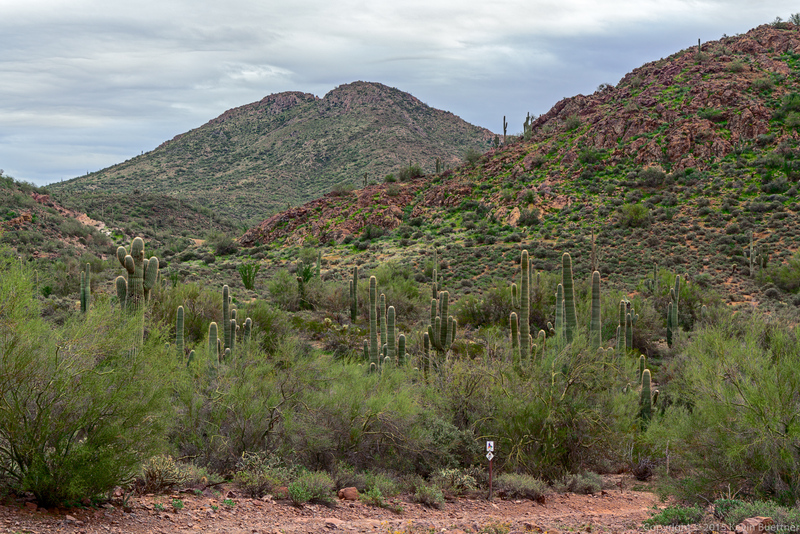 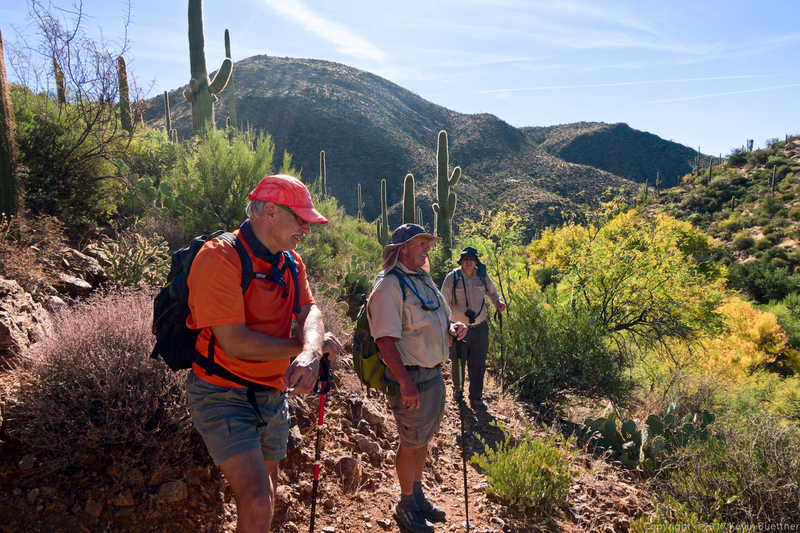 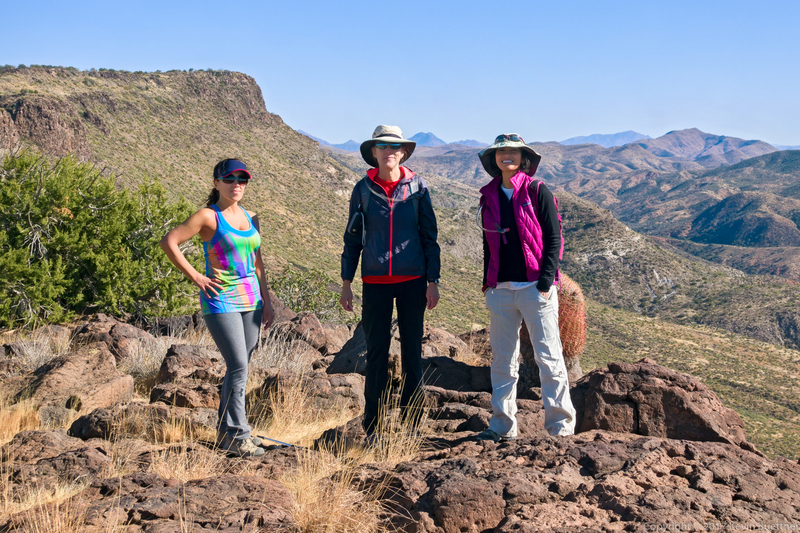 On Friday, the 29th, Linda, DeAnn, Sandy, Sarah, and I hiked 12.5 miles from the Cave Creek Trailhead (in the Seven Springs Recreation Area) to the Spur Cross Trailhead. 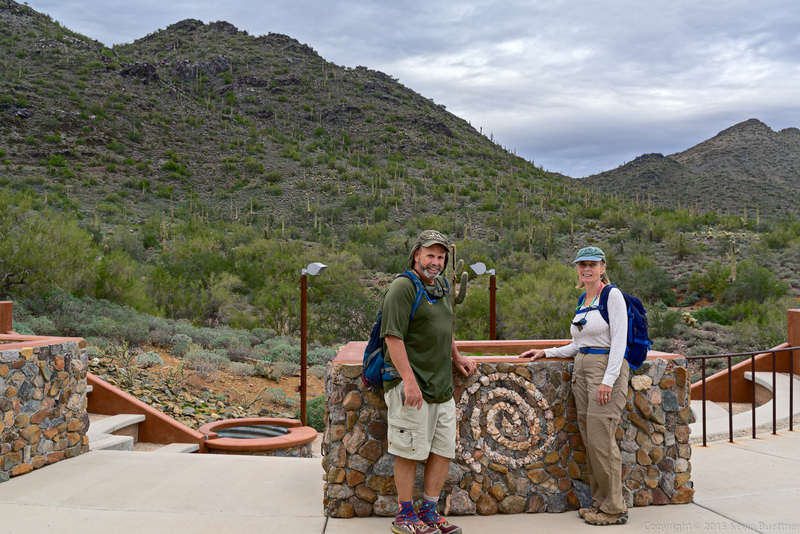 We stayed on Cave Creek Trail #4 for all but the last couple of miles. 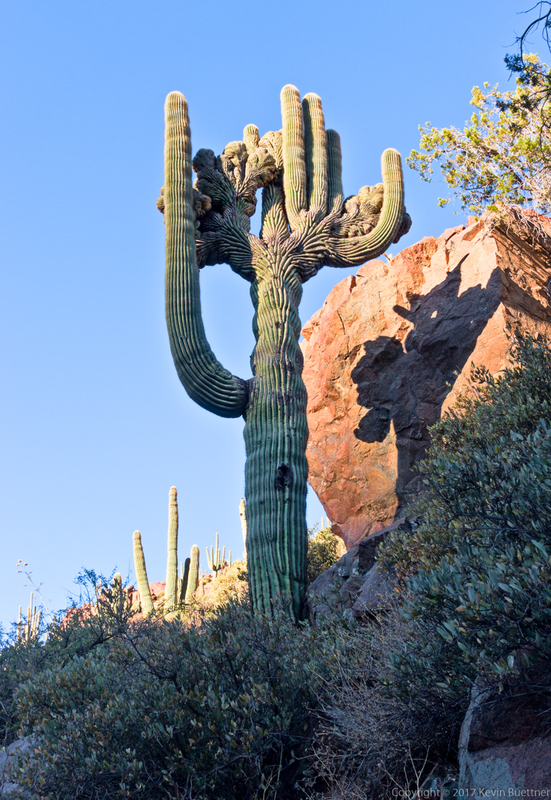 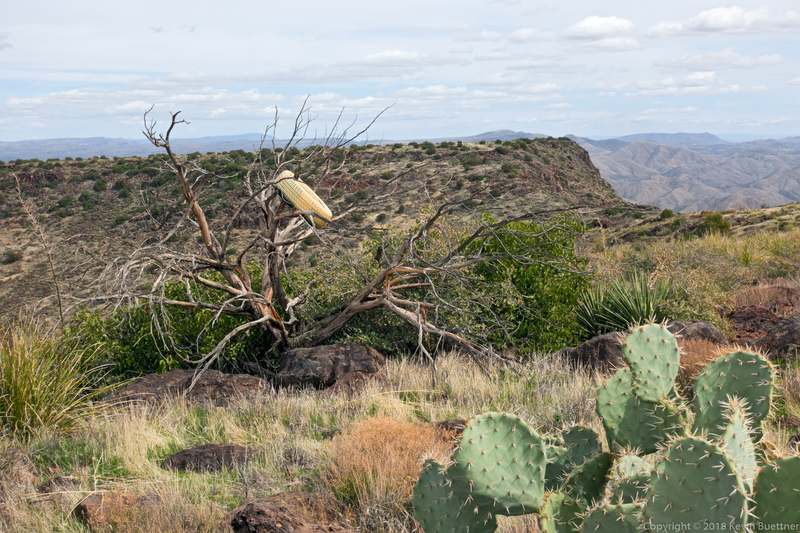 A crested saguaro; there were supposed to be two on this hike, but this is the only one we saw. 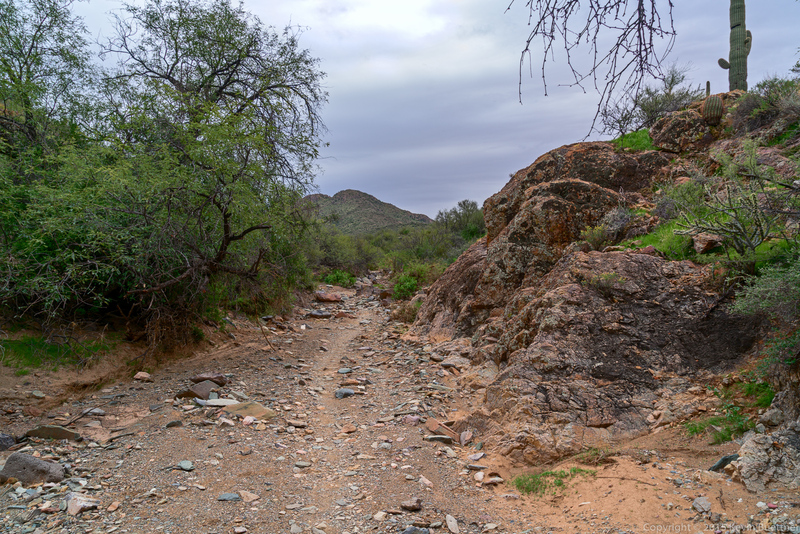 We had to cross the creek several times. 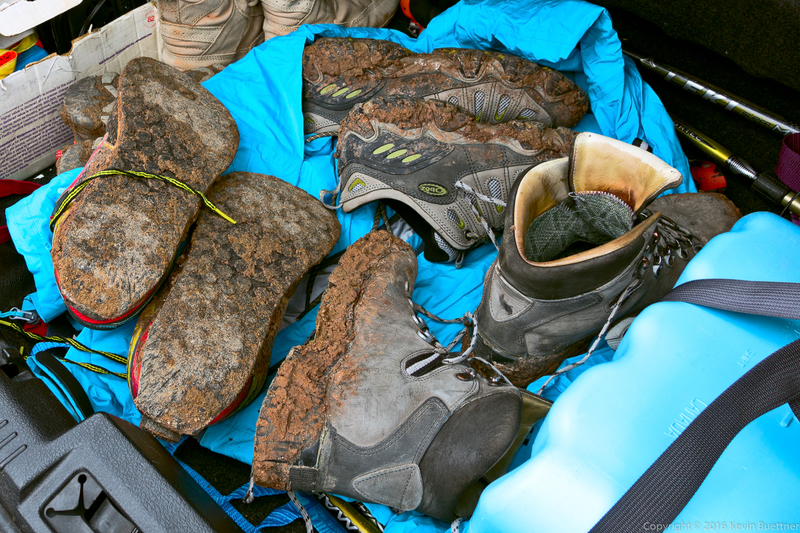 We managed to do it without getting too wet. 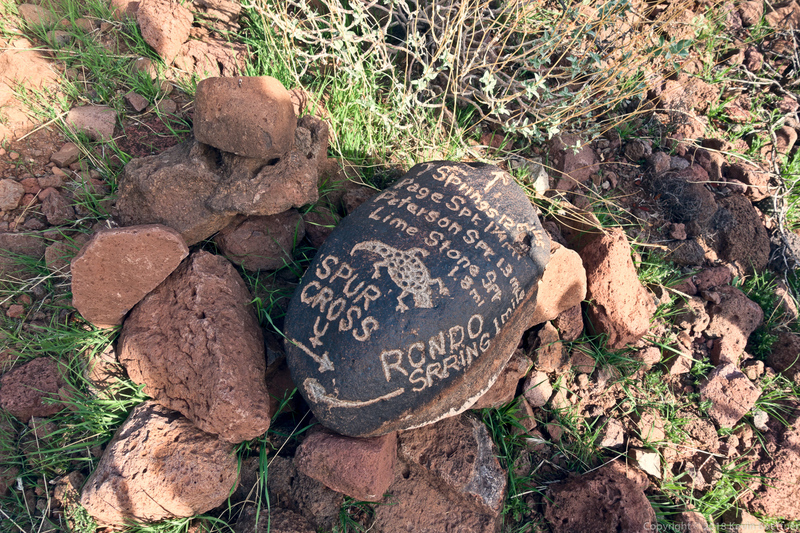 And again; this was the last crossing, I think. 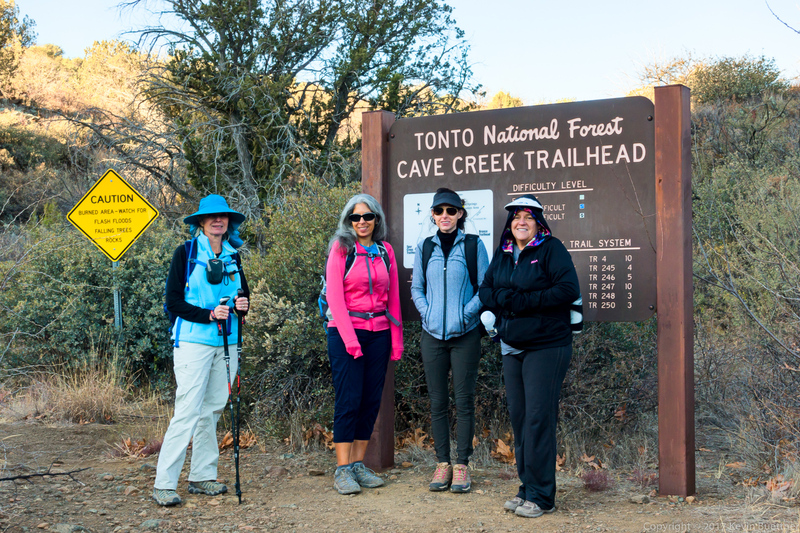 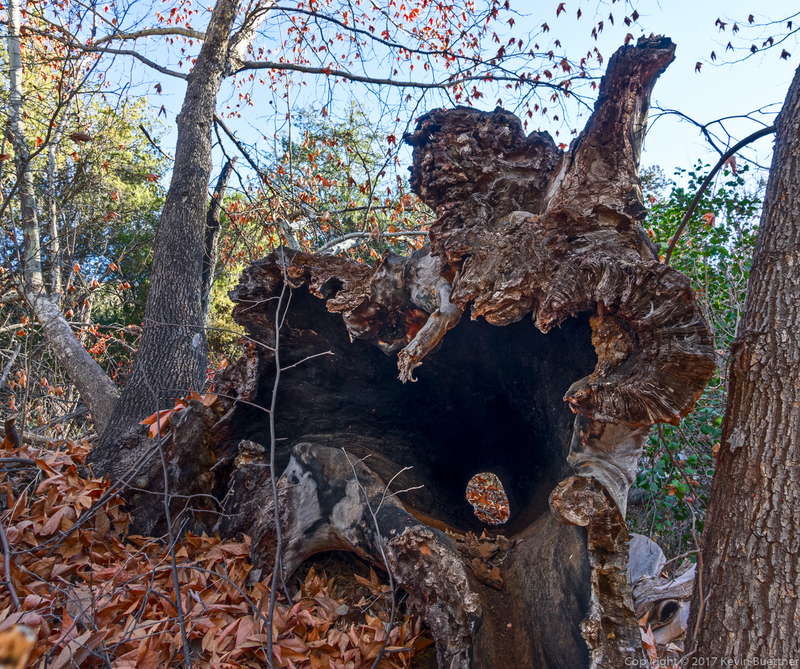 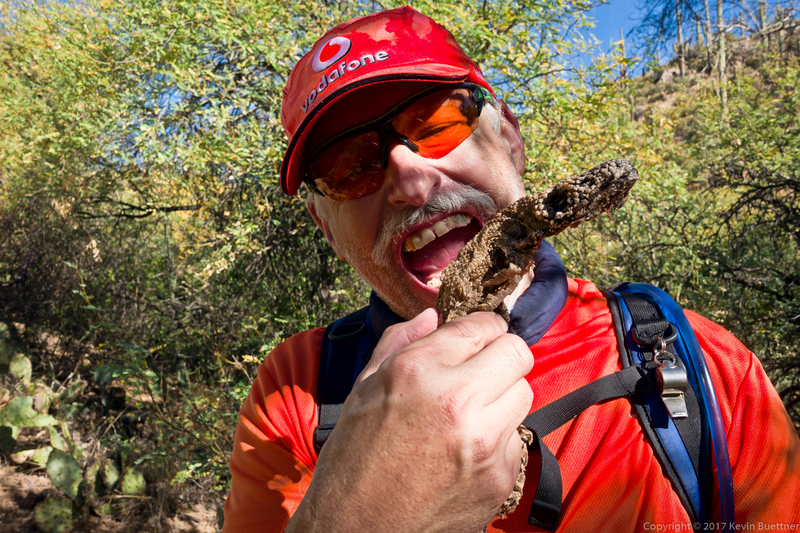 Gayle, Sunaree, Mitra, Marilyn, and I hiked a variation of the Cottonwood Spring Loop. 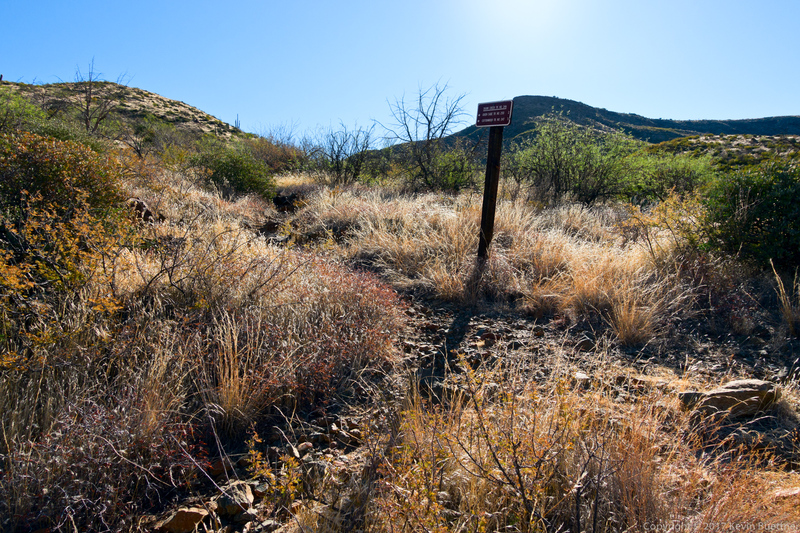 Midway through the loop, when we got to intersection with the Skull Mesa Trail, we hiked to the top and then returned to finish the loop. 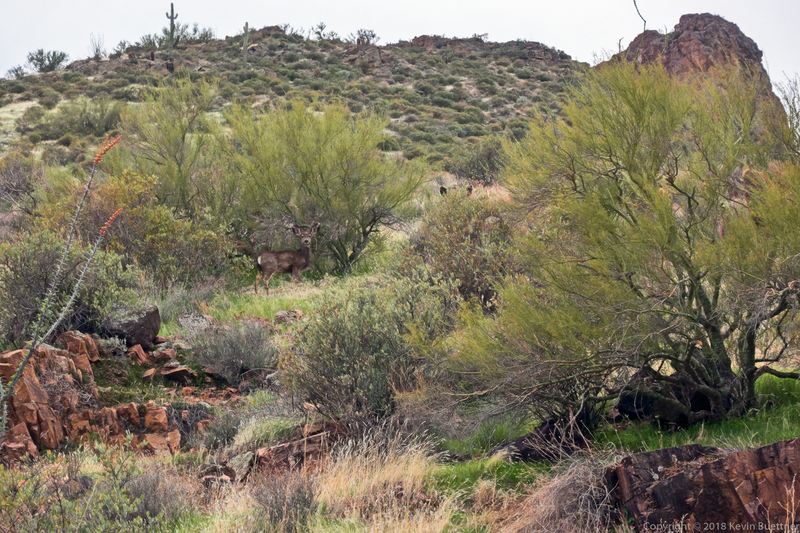 Mitra spotted these deer at the trailhead; behind the deer is Elephant Mountain and the fortress pinnacle below it to the right. 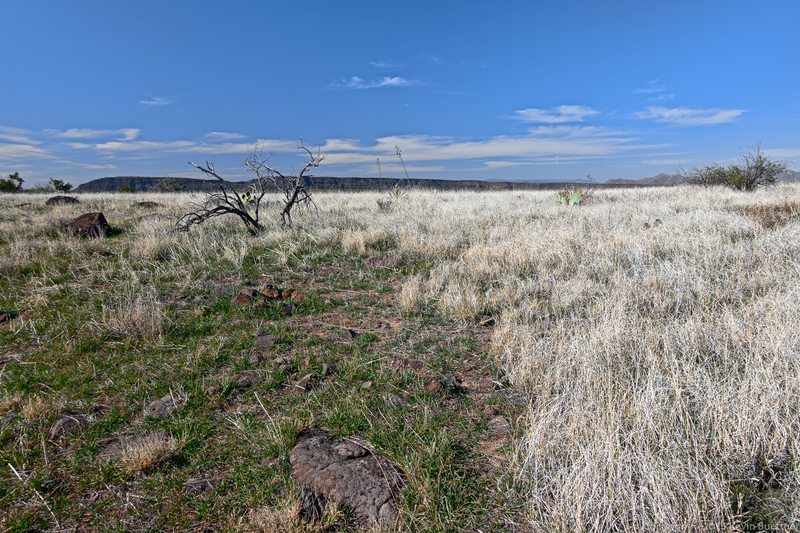 An early view of Skull Mesa; there is a prominent wash / drainage here, but it is not named on any of the maps that I’ve consulted. 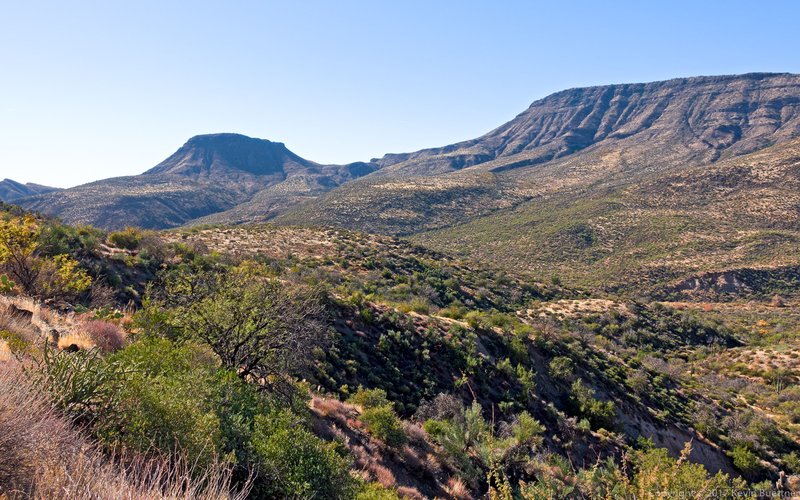 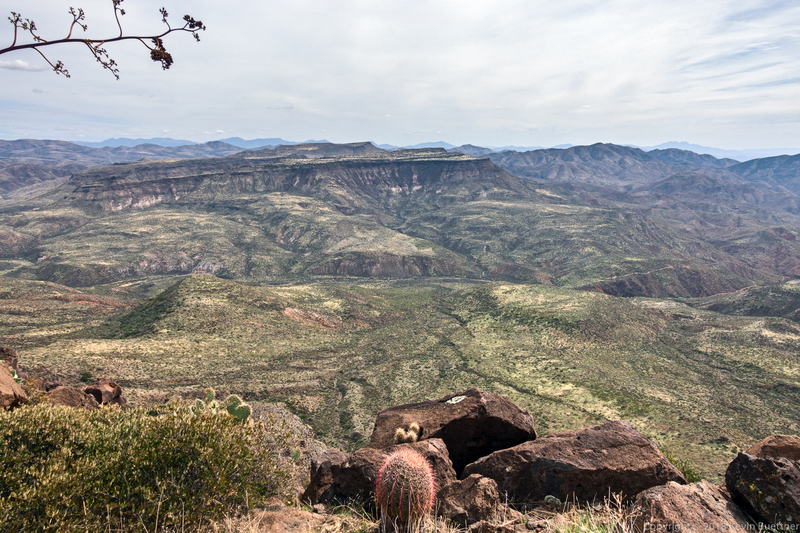 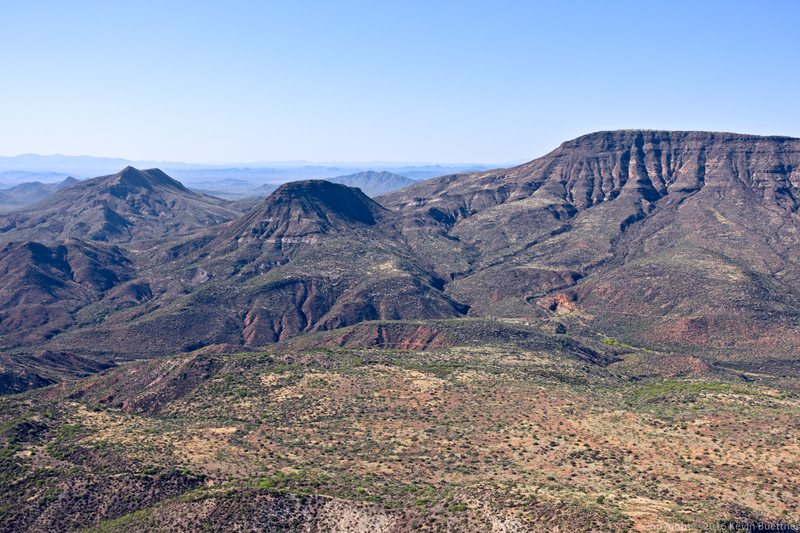 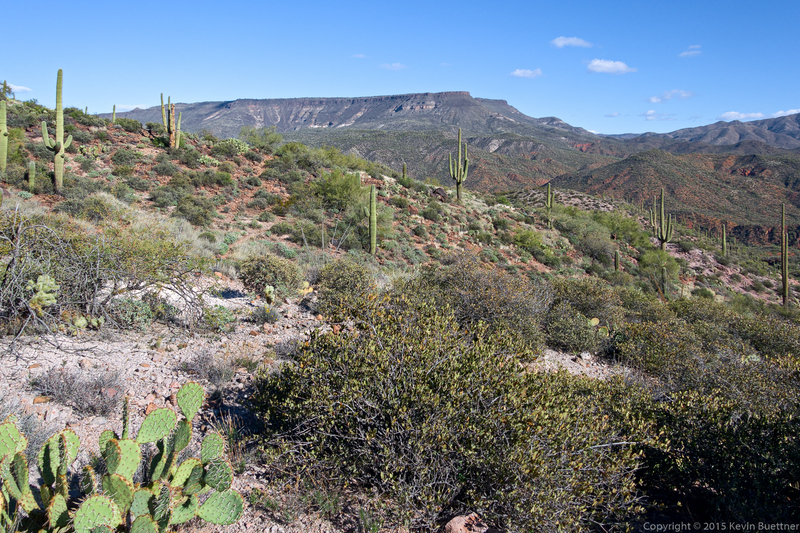 This is one of the views from Trail #247 beyond the Skull Mesa intersection. 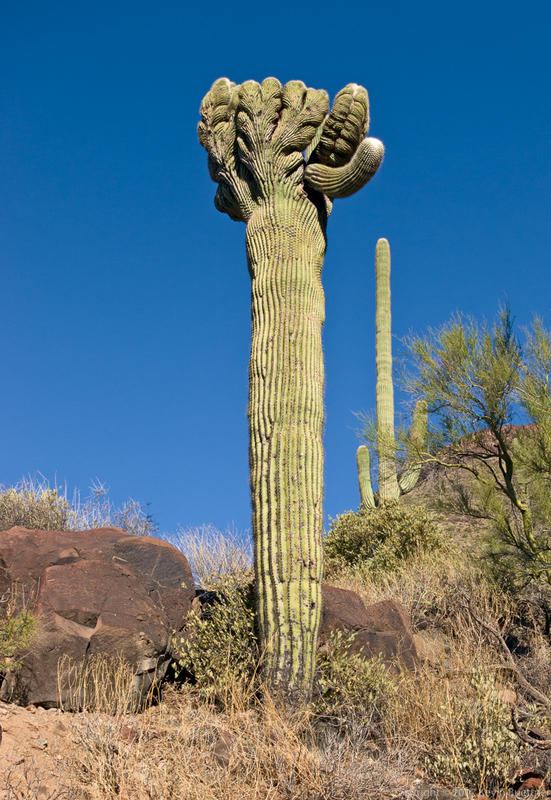 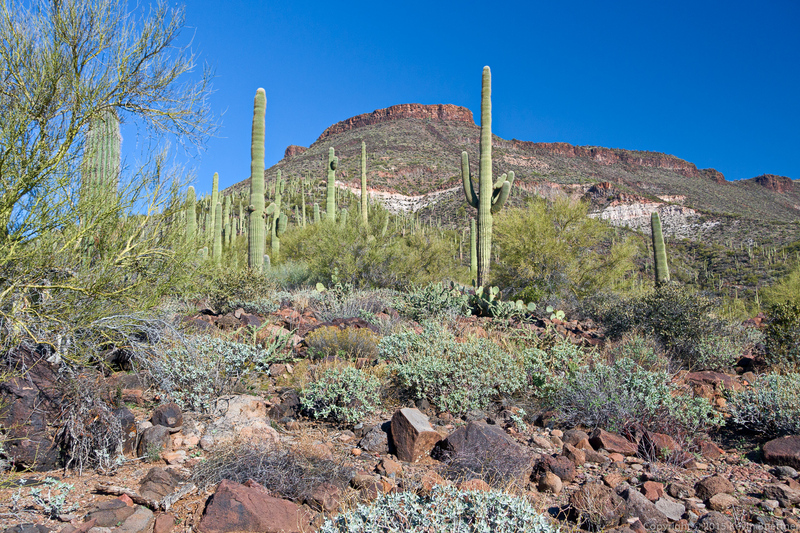 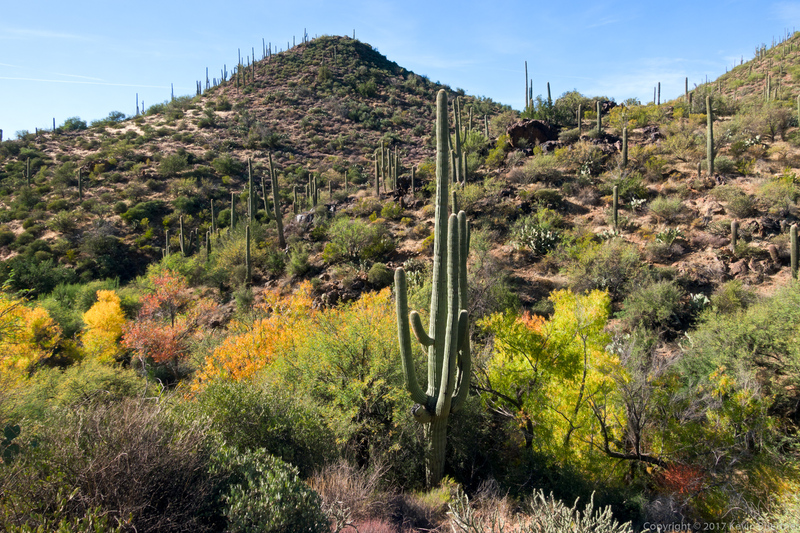 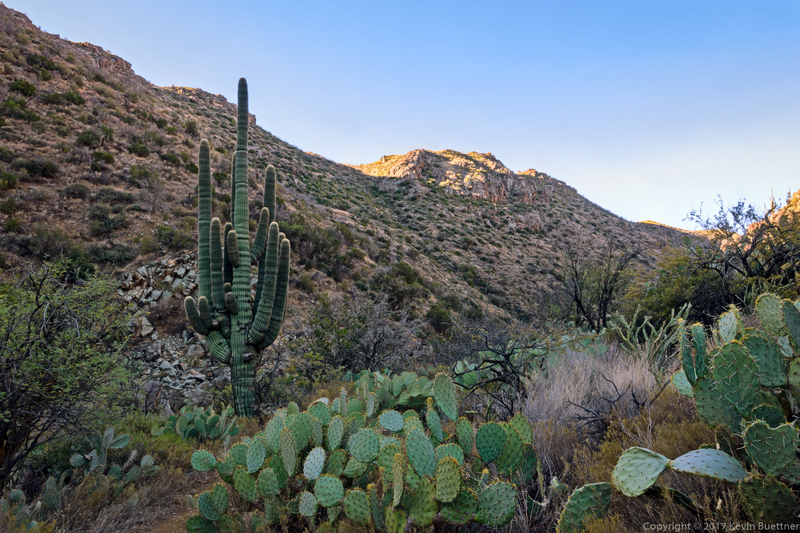 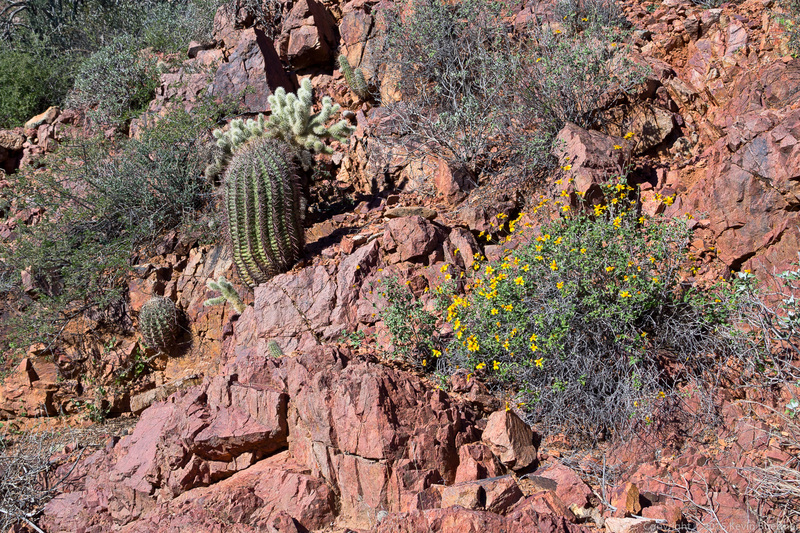 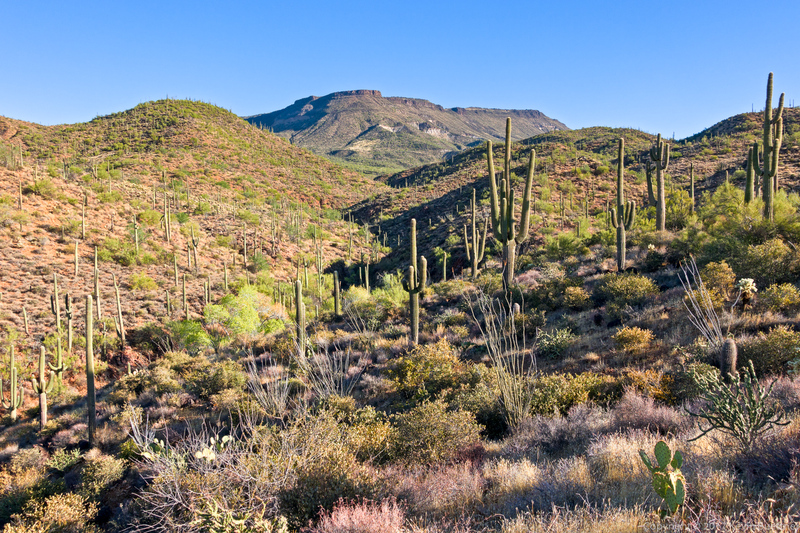 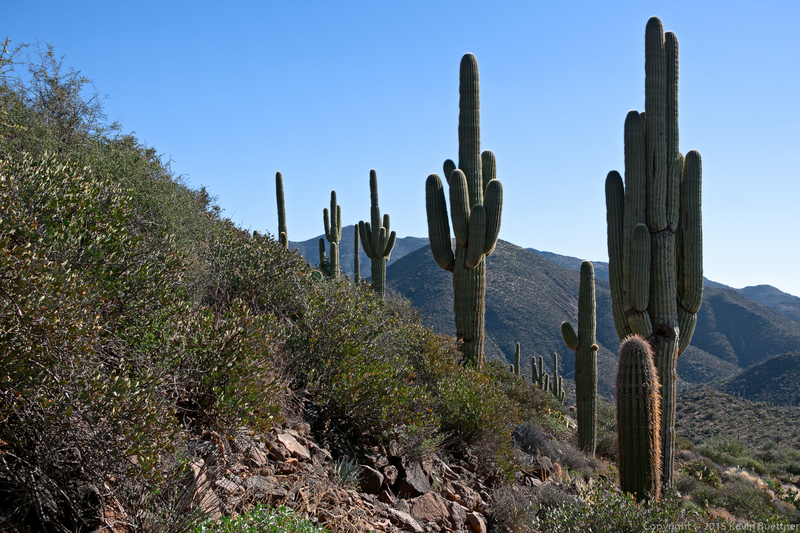 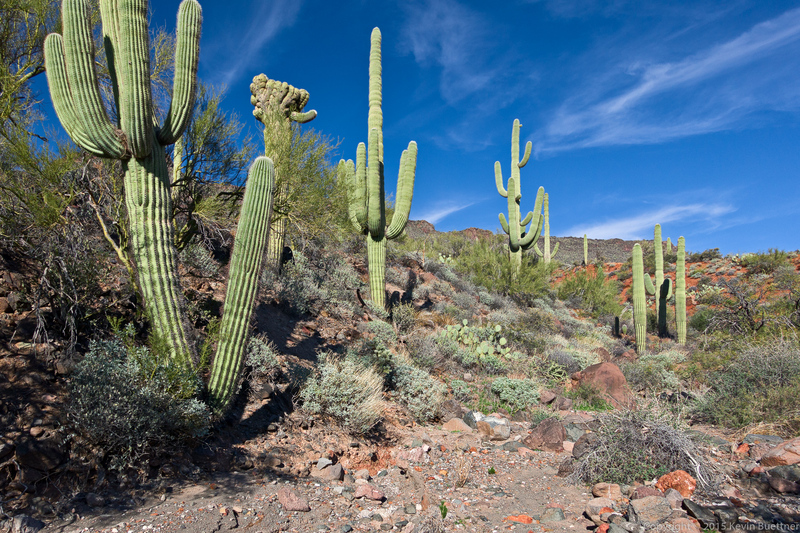 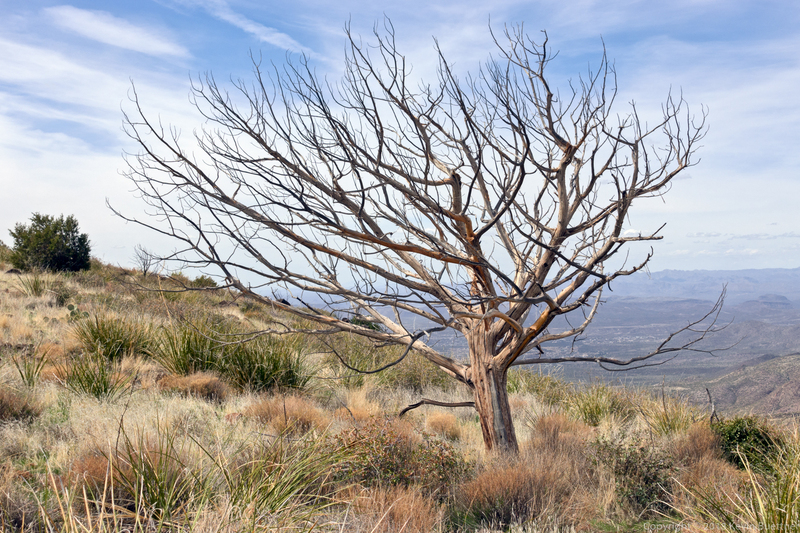 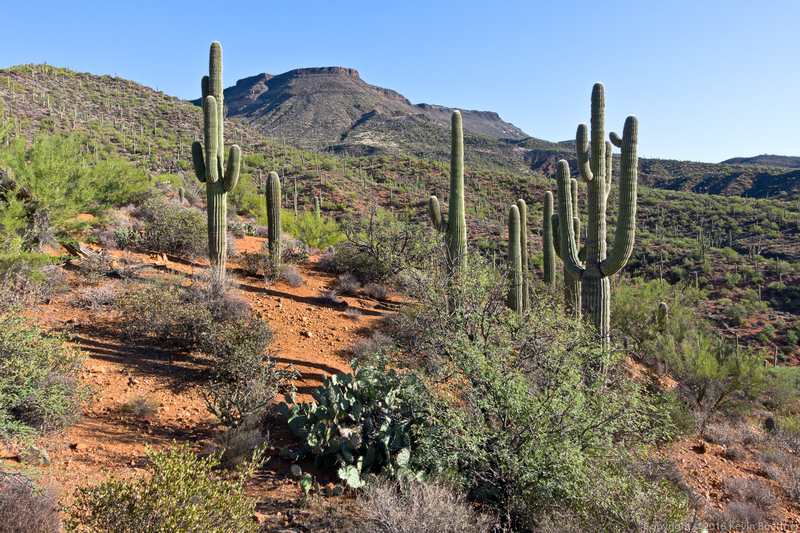 If you look closely, you can see another crested saguaro below. 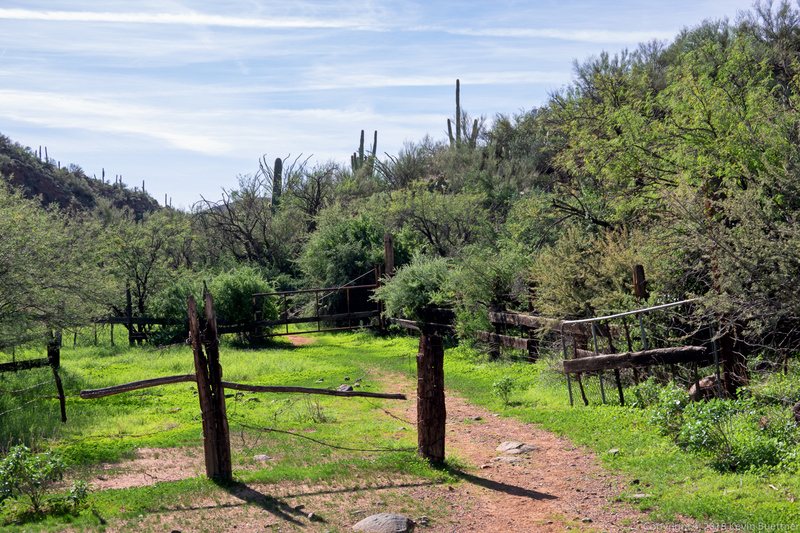 We came across this gate on 247A; I thought the dry grass made for an interesting contrast to the vegetation beyond the gate. 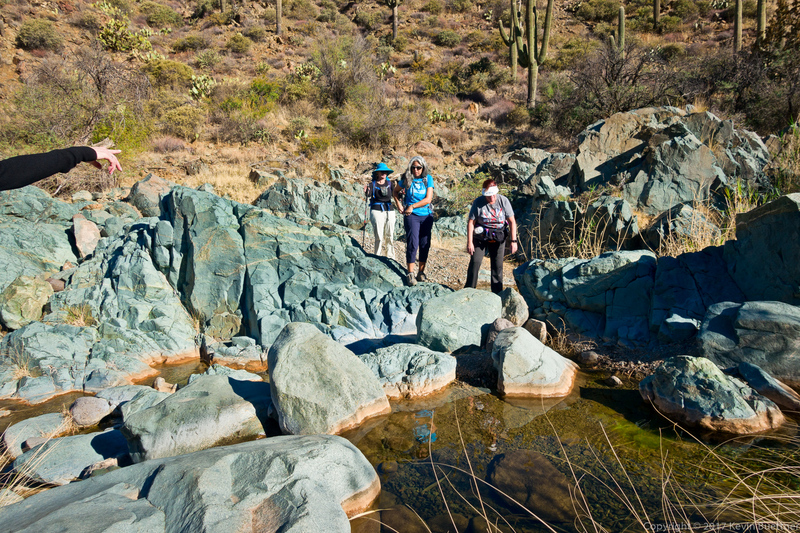 Another wash crossing; this one had a lot of cairns showing the correct way to go. 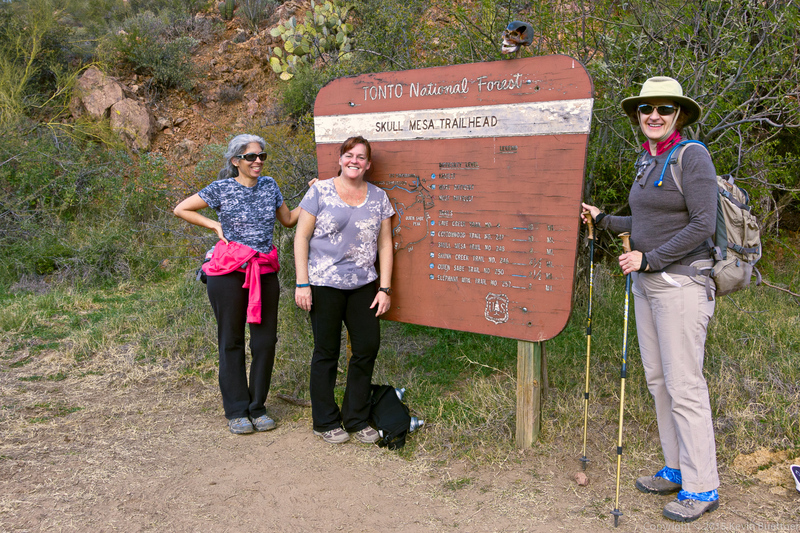 Linda, Nancy, Marilyn, Bob, Mike, and I hiked from Spur Cross to the top of Skull Mesa on the Friday after Thanksgiving. 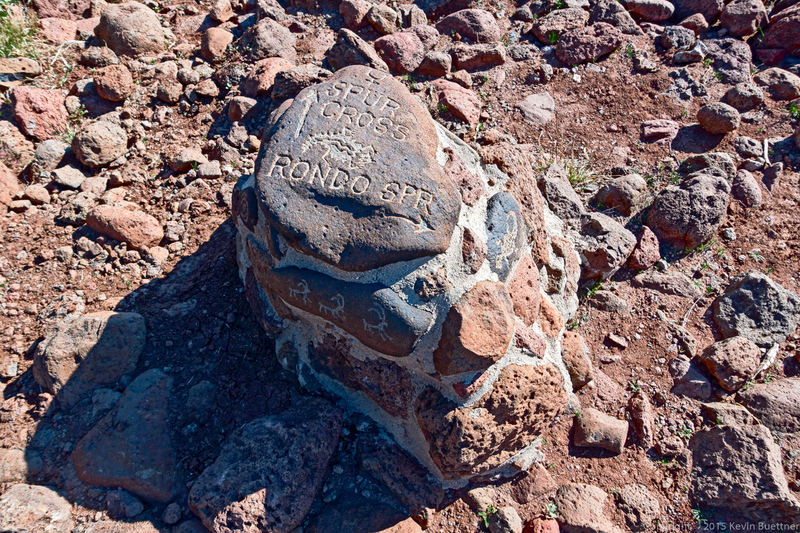 (Not all of us went to the summit.) 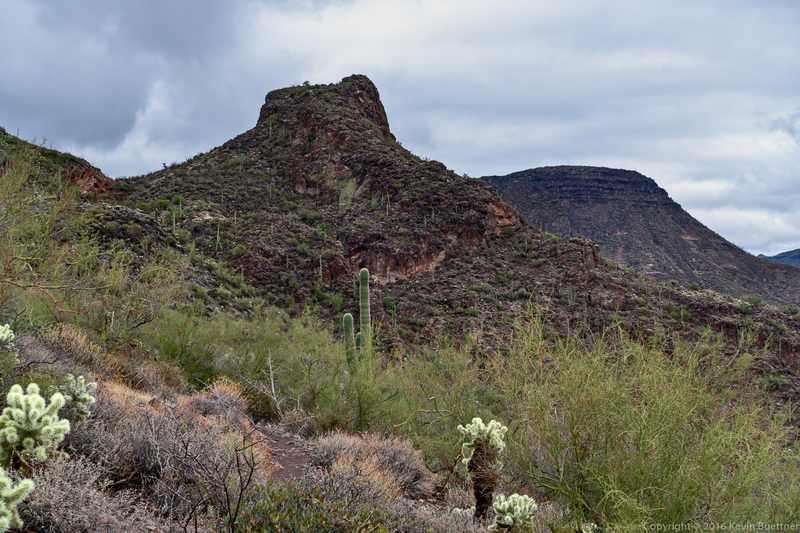 The hike was 12 miles long with over 3200 feet of total elevation gain. 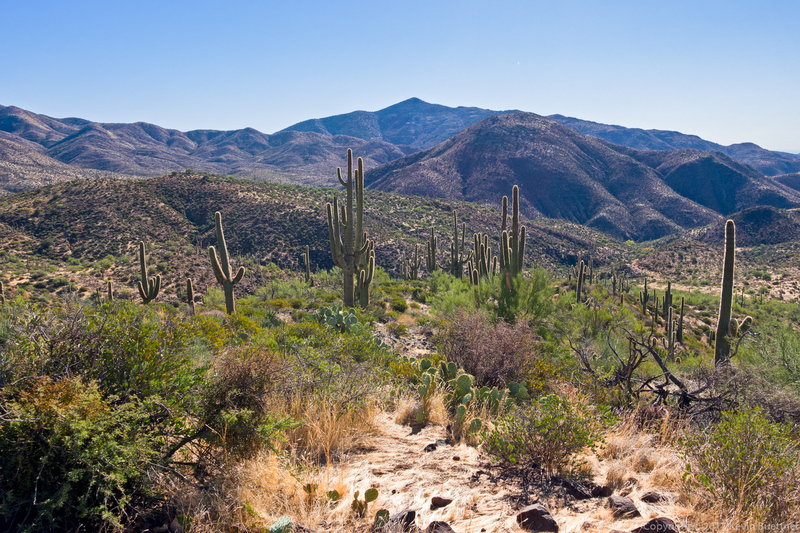 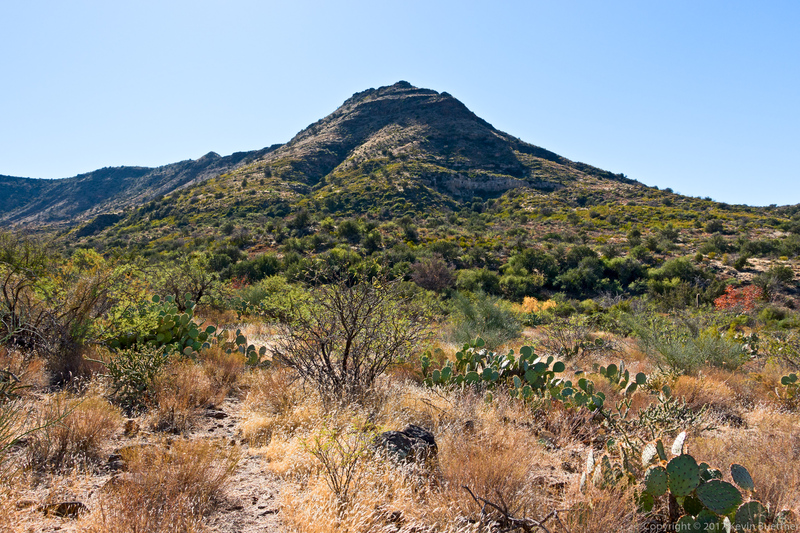 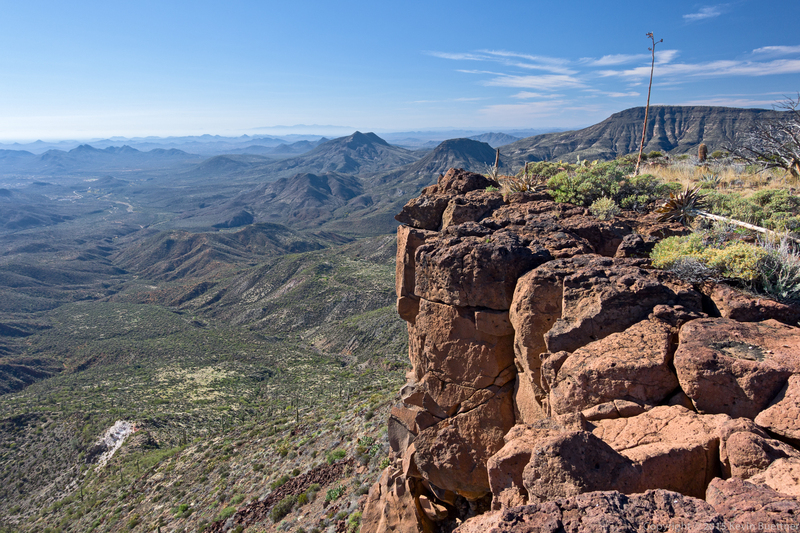 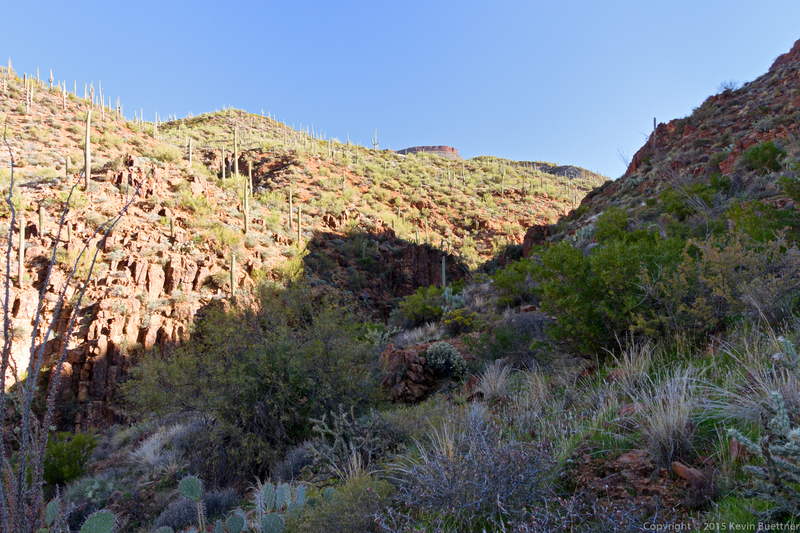 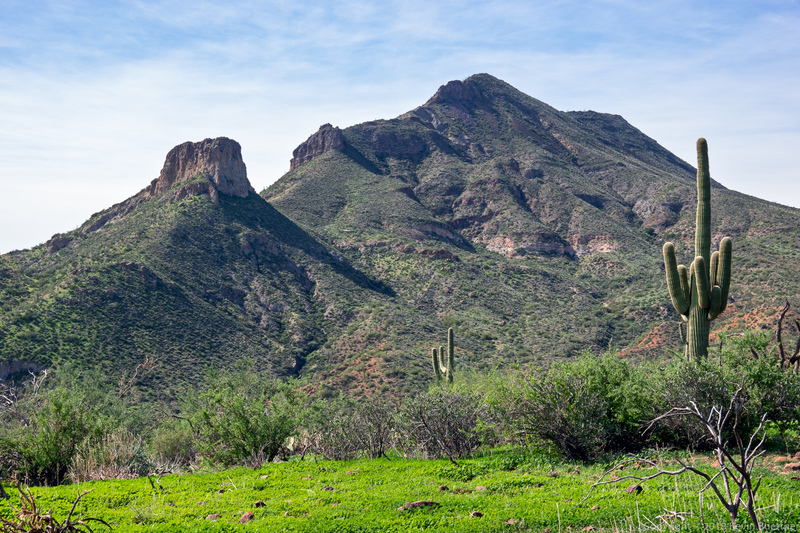 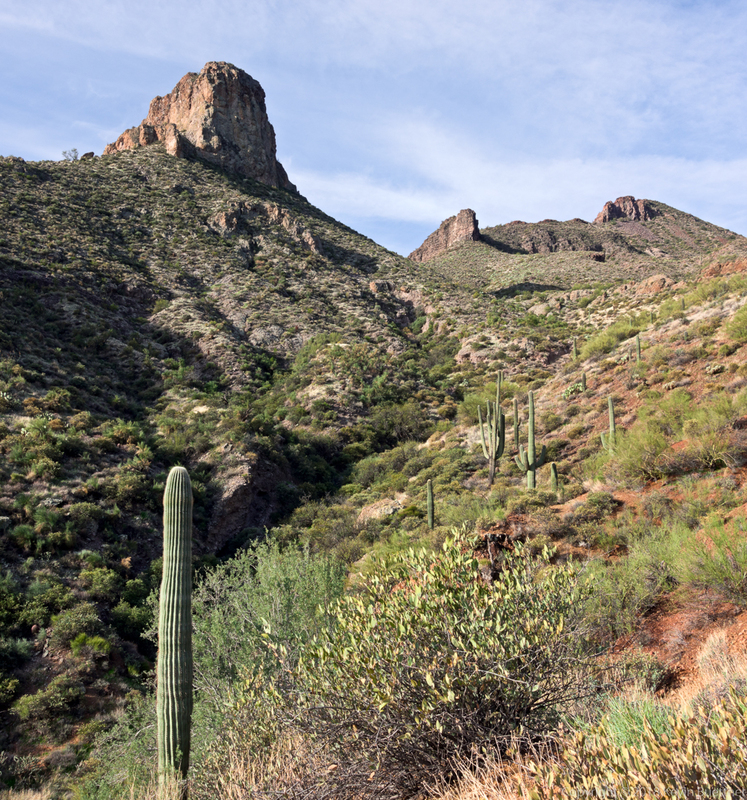 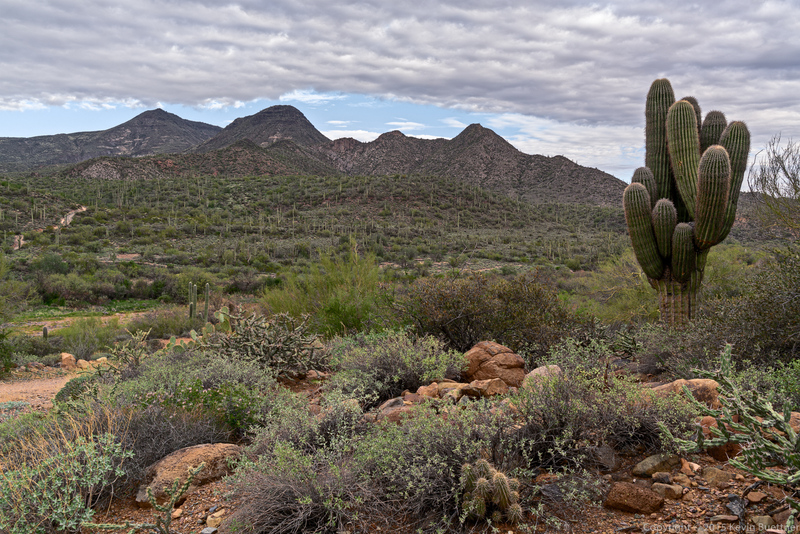 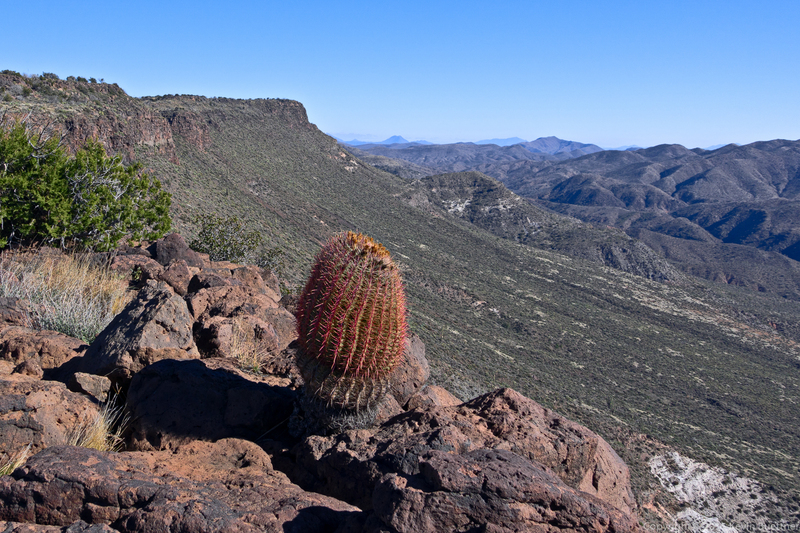 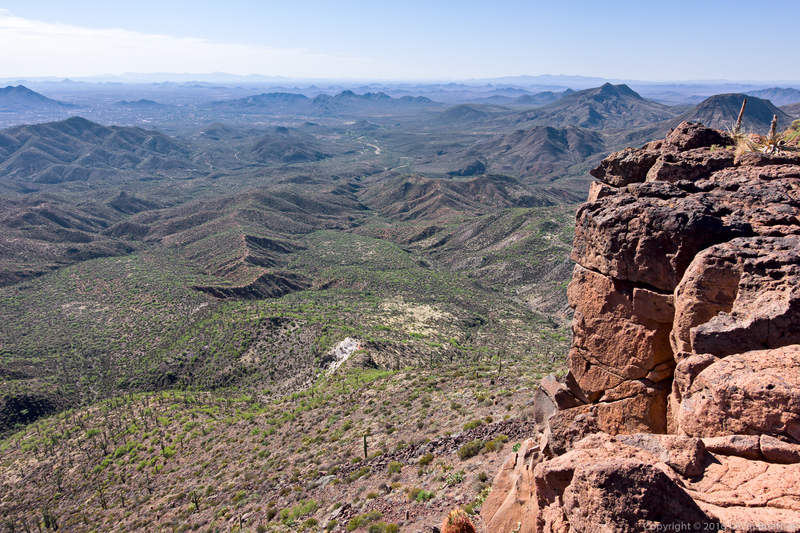 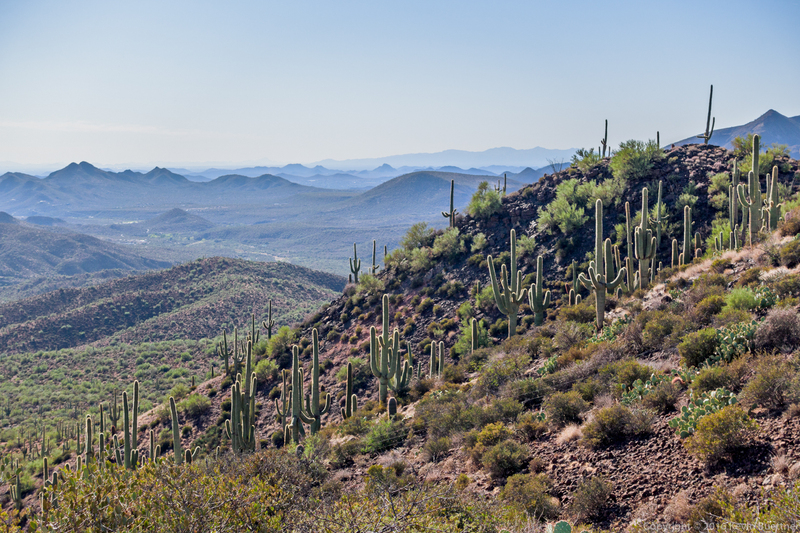 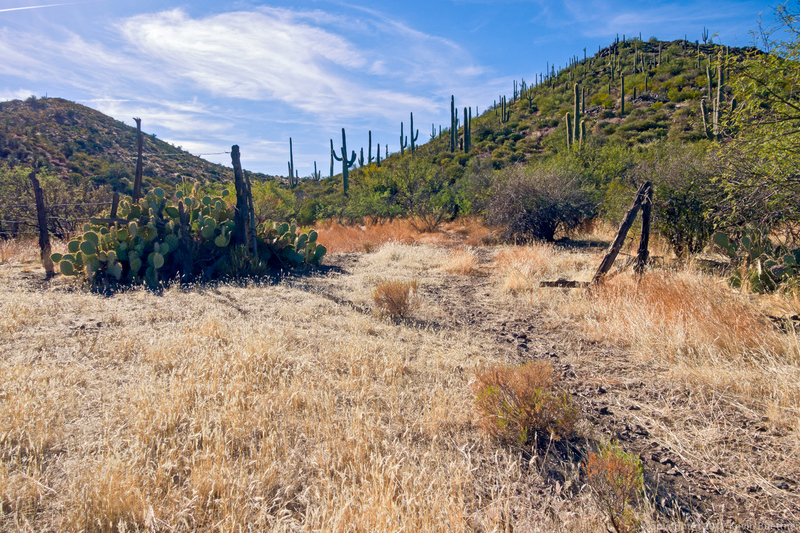 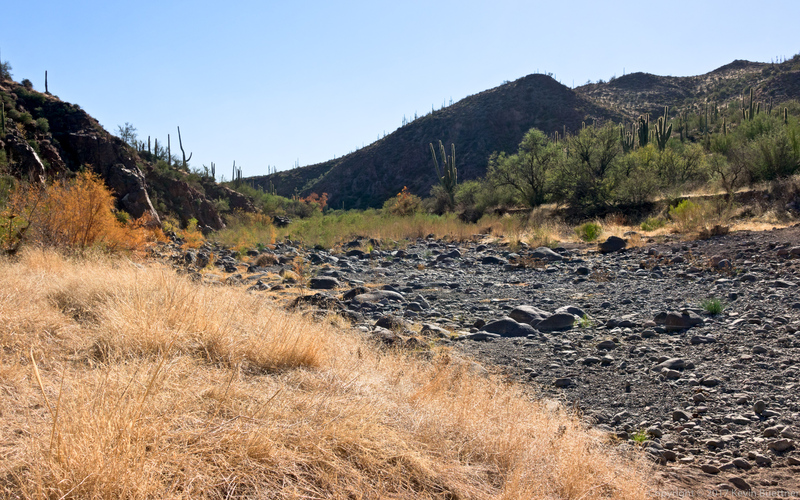 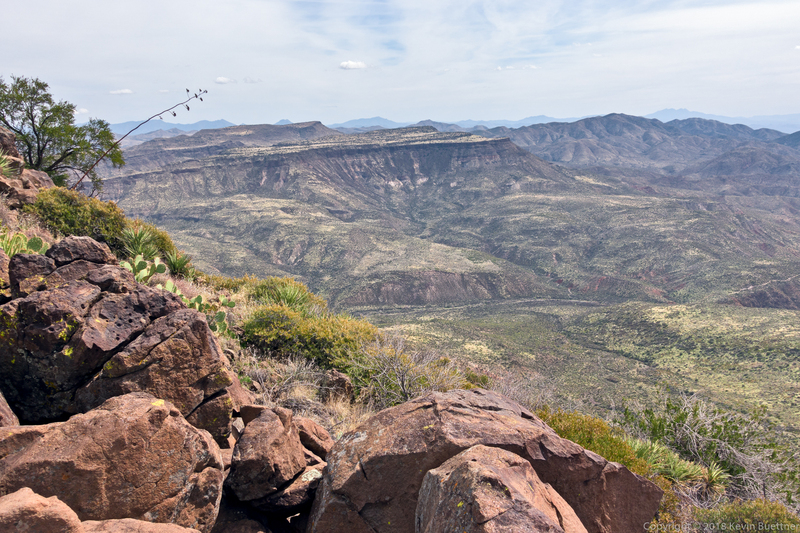 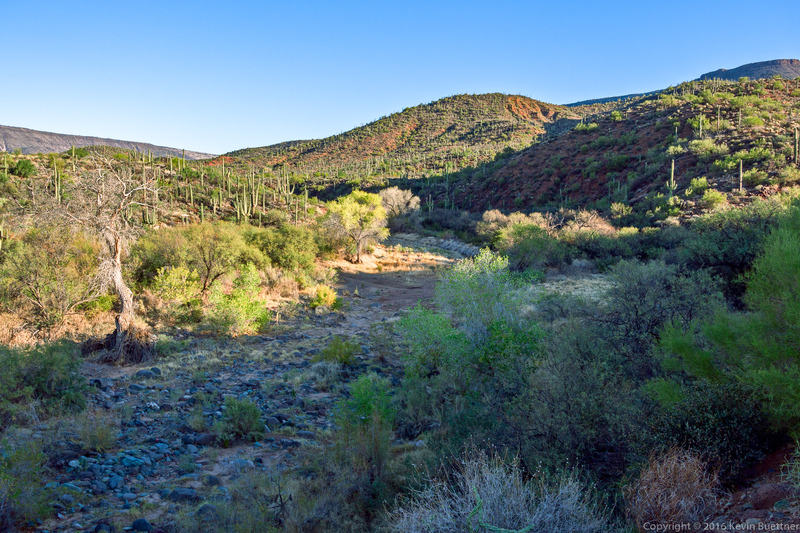 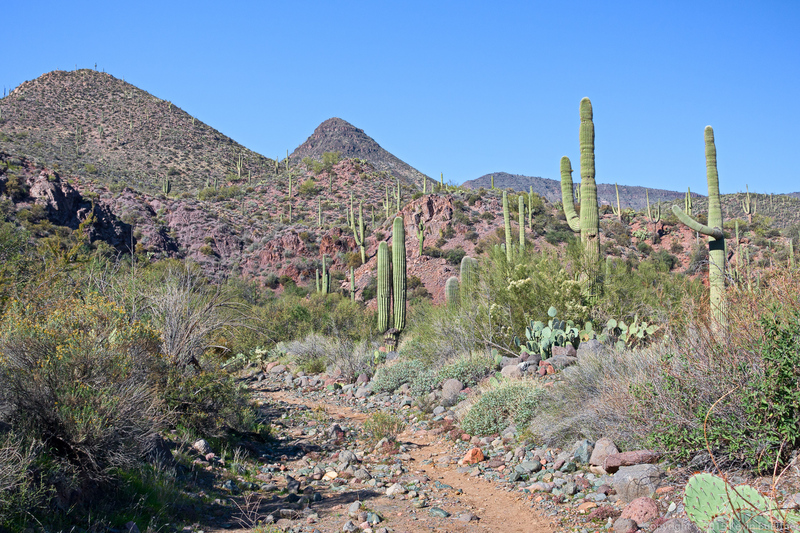 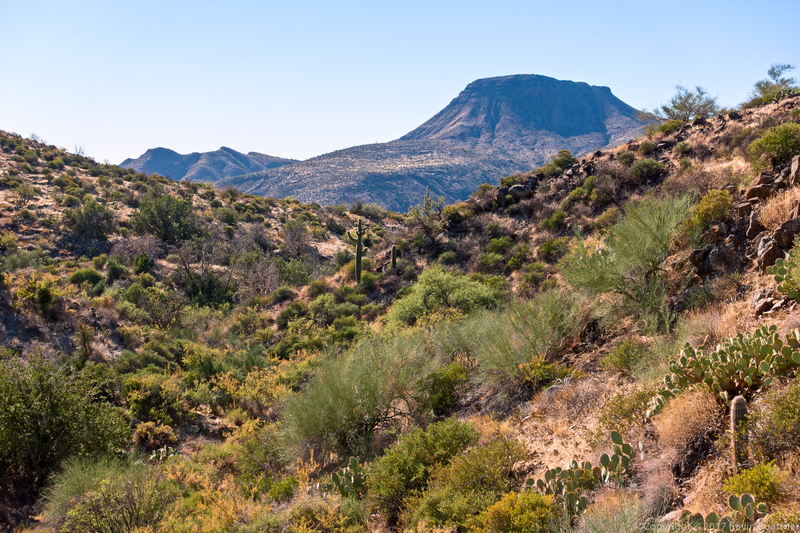 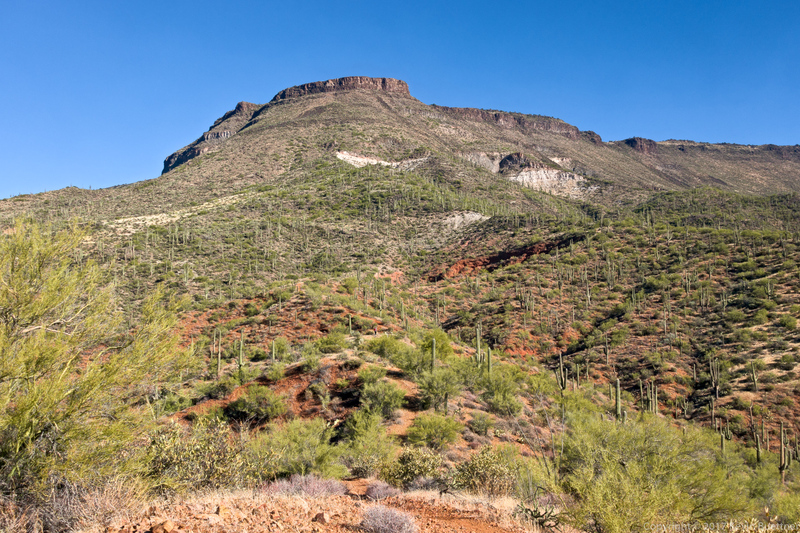 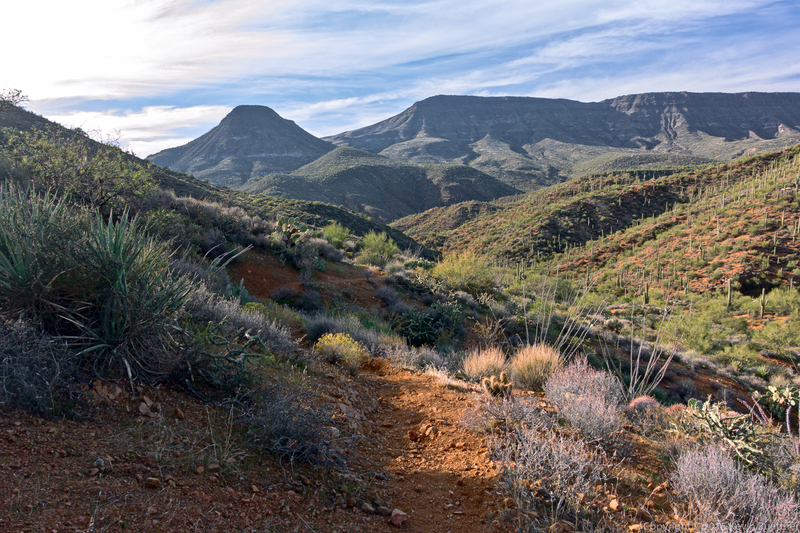 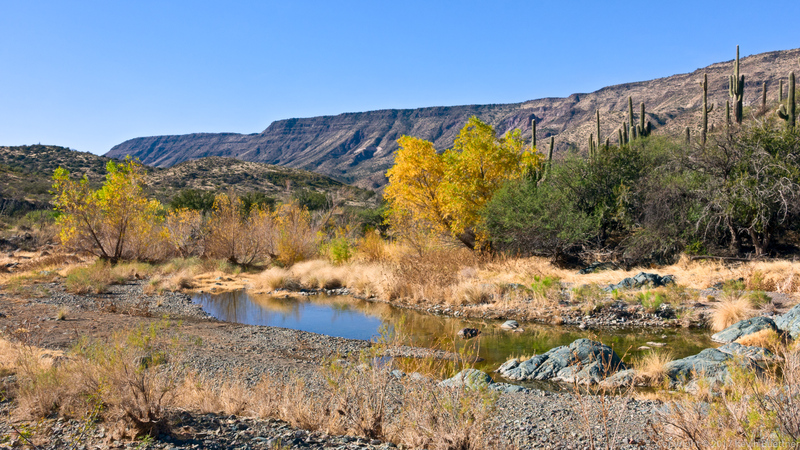 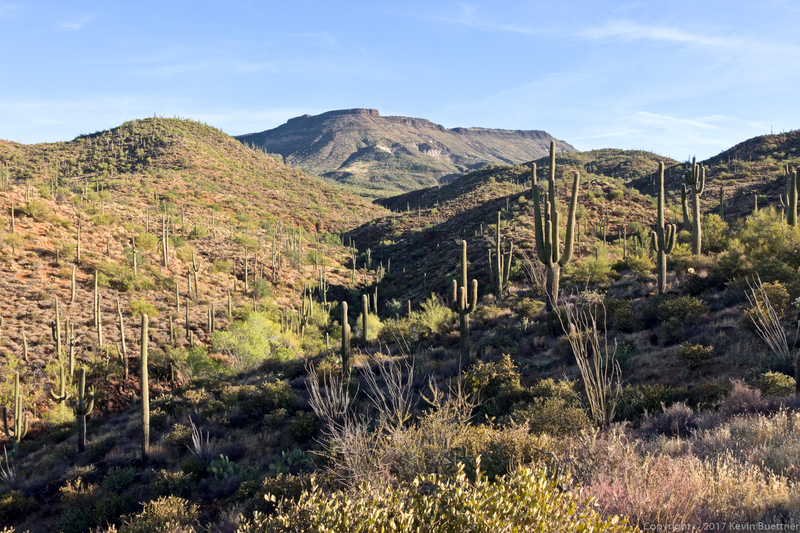 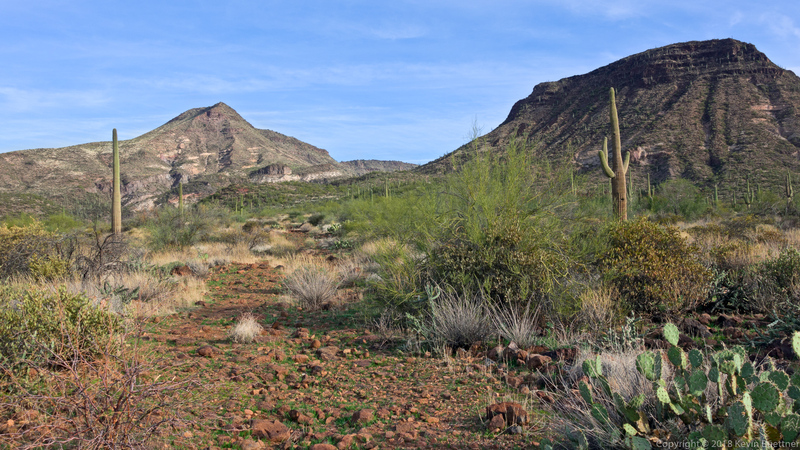 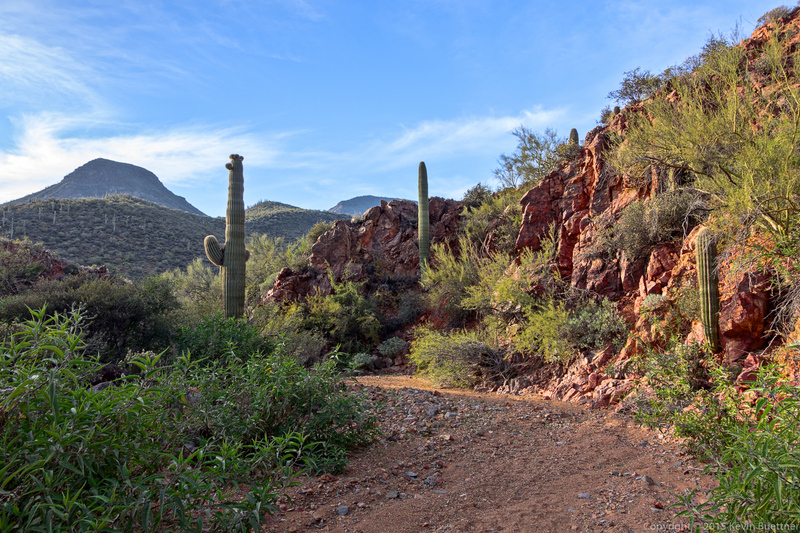 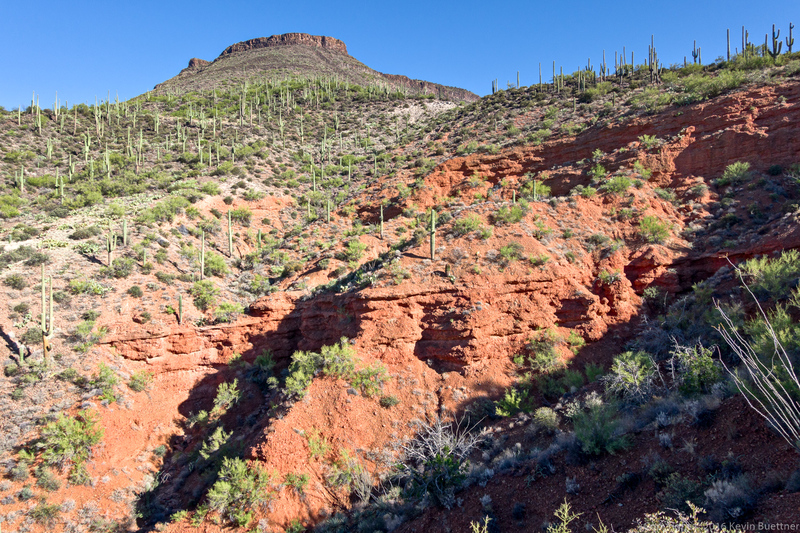 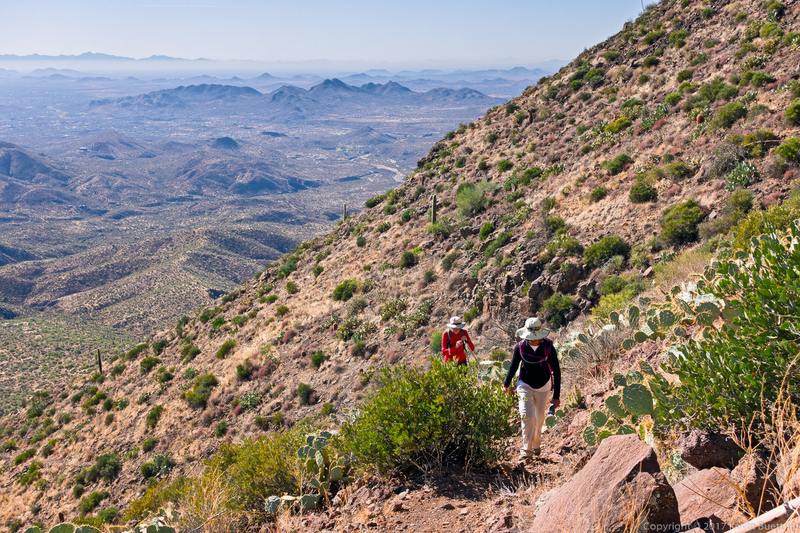 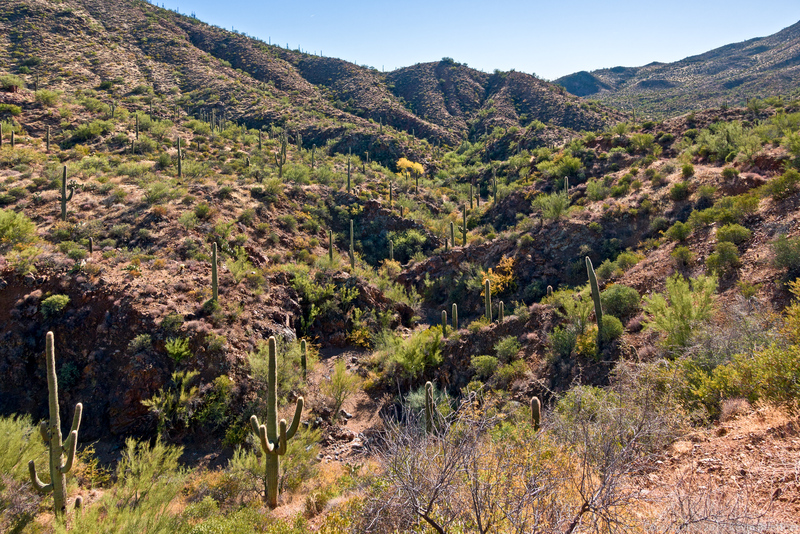 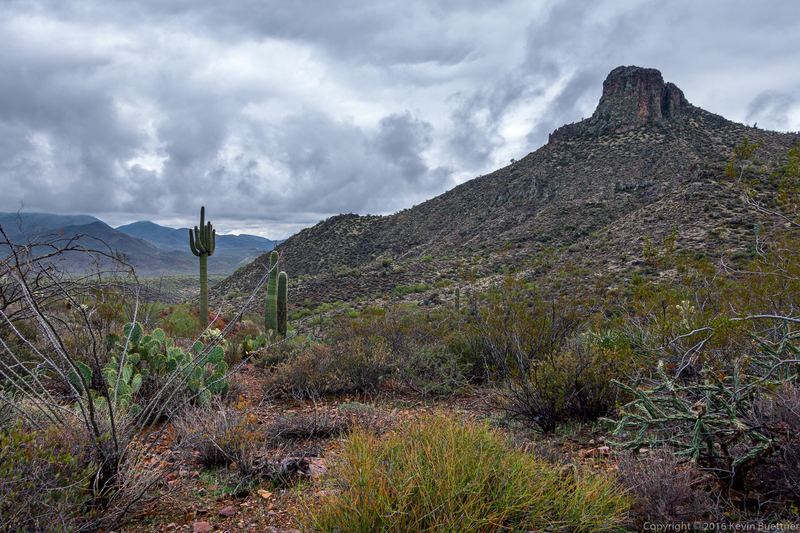 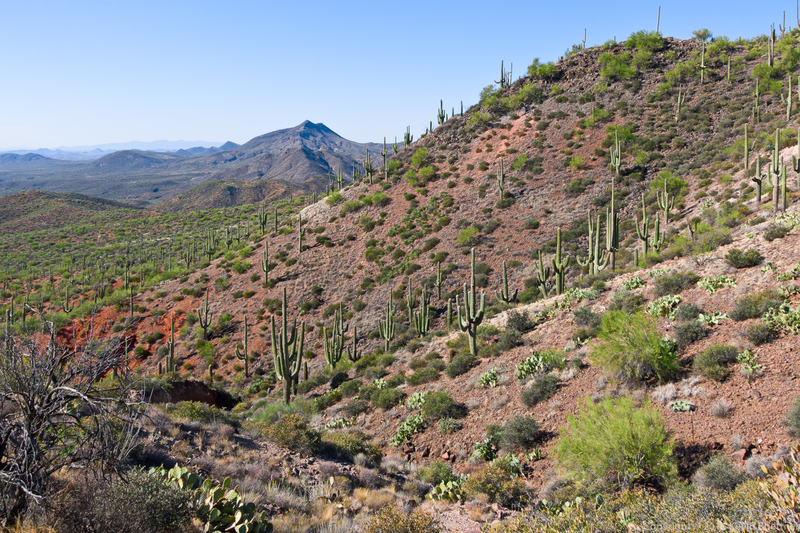 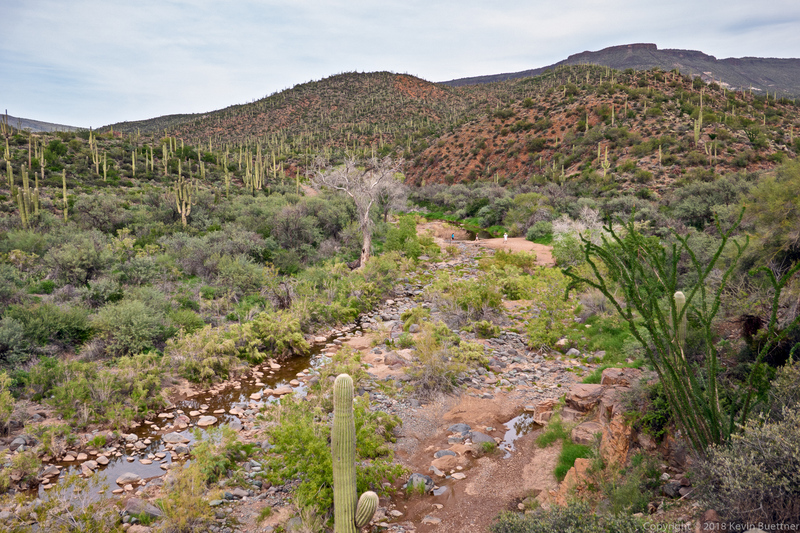 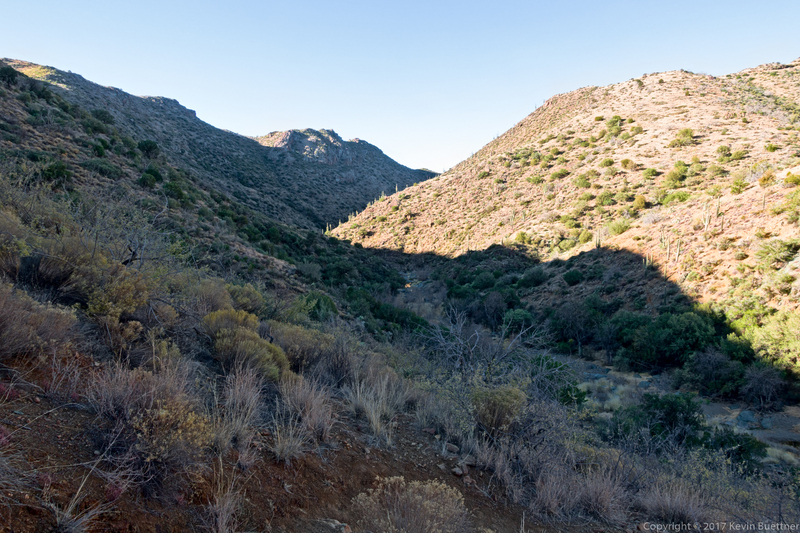 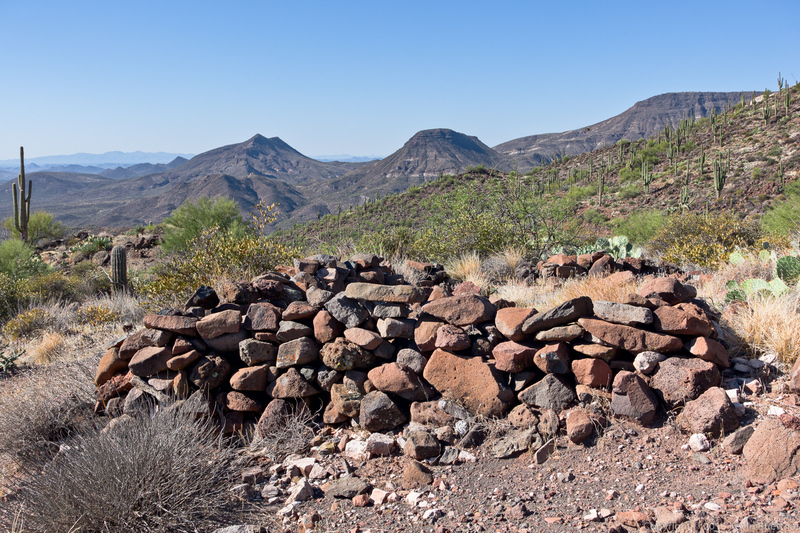 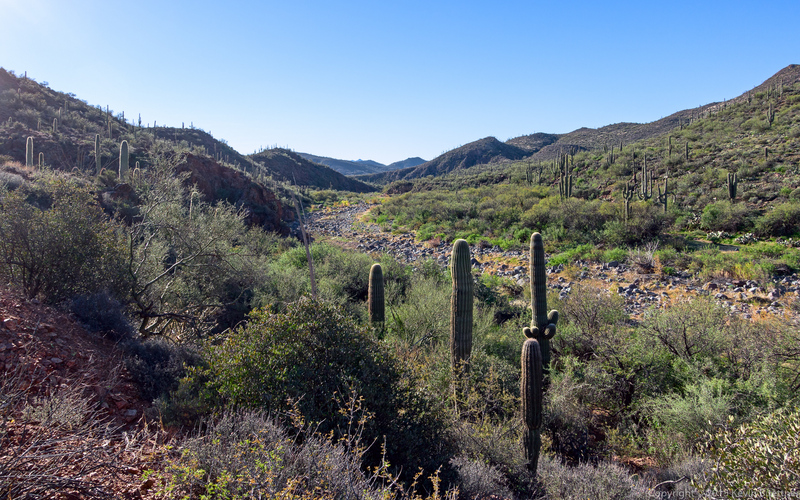 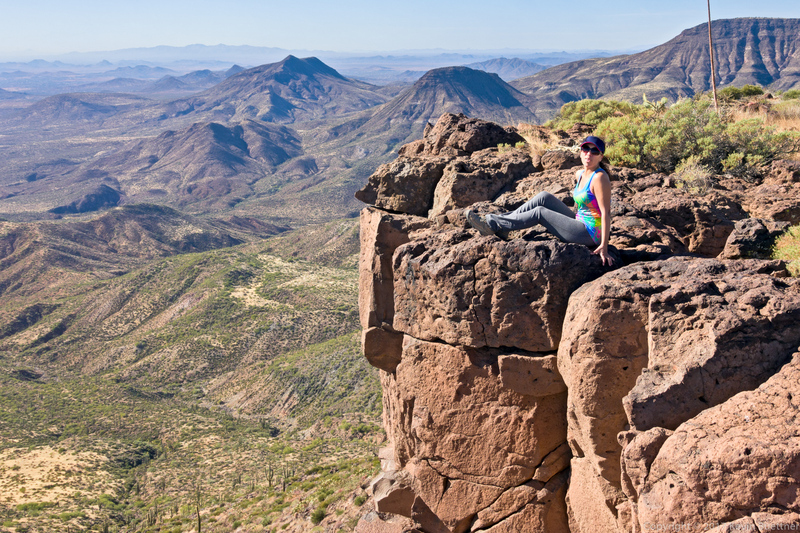 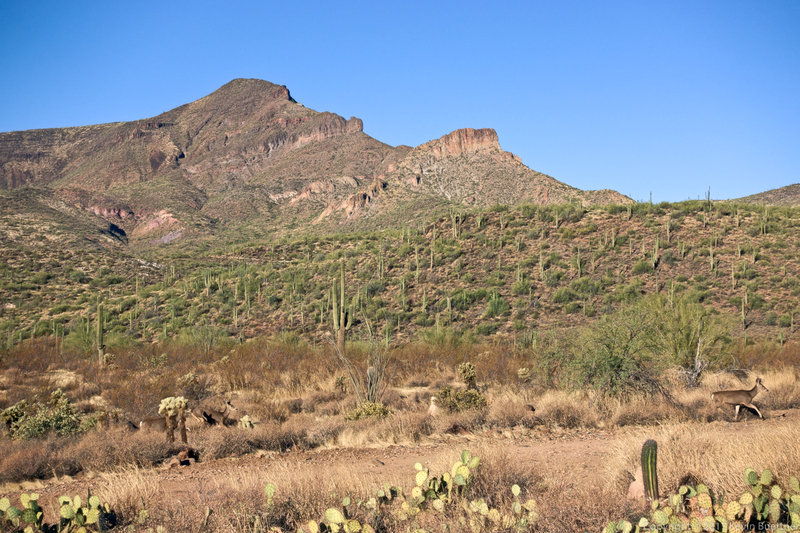 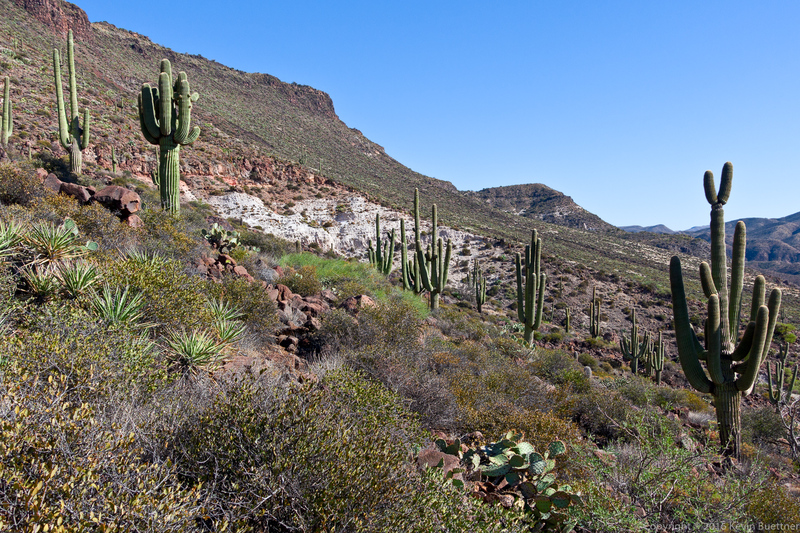 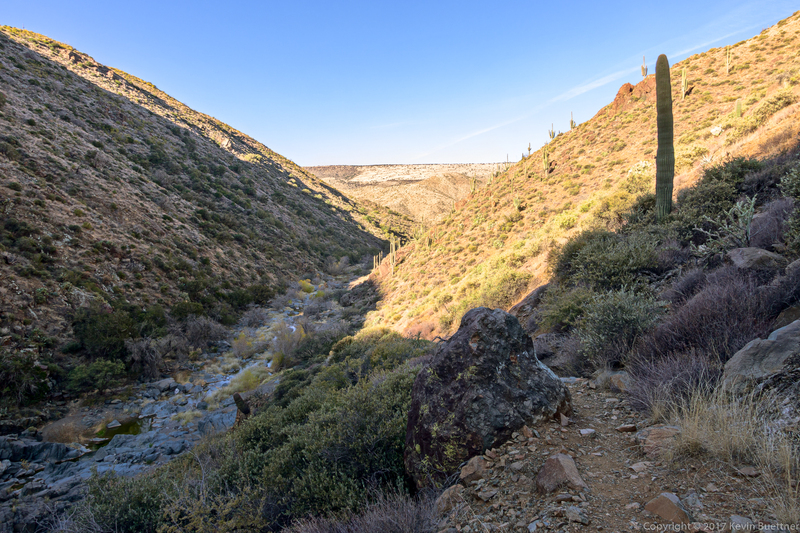 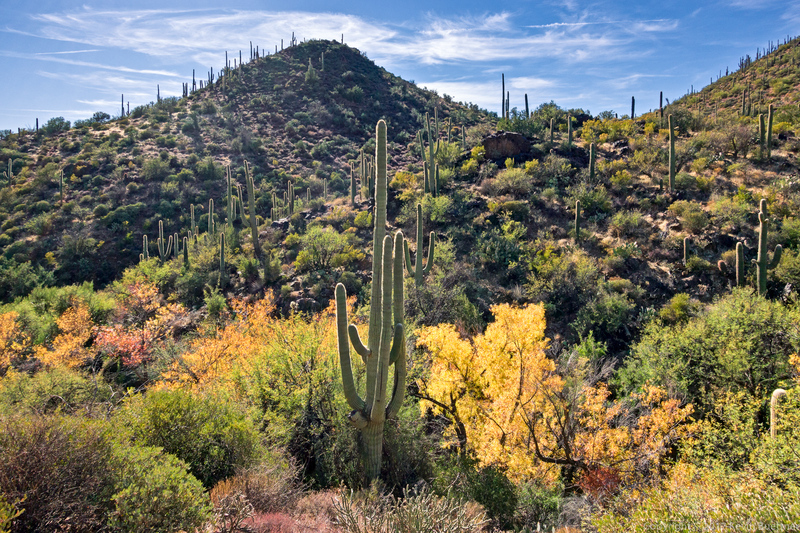 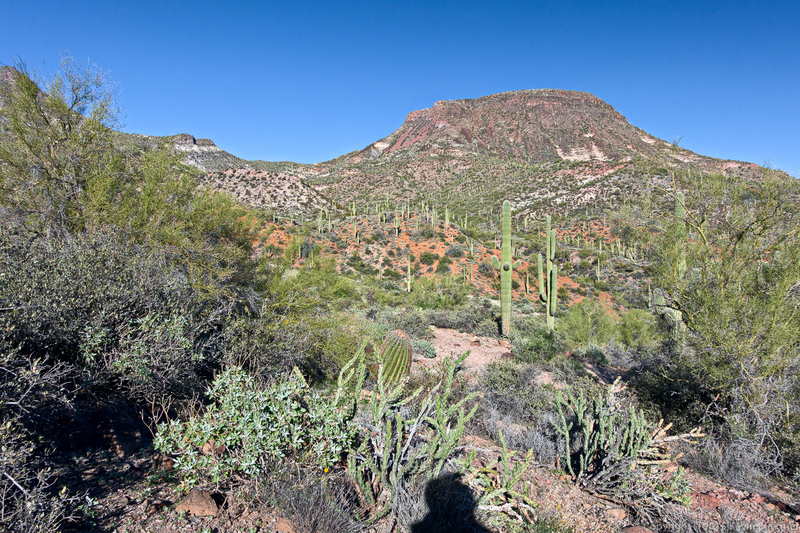 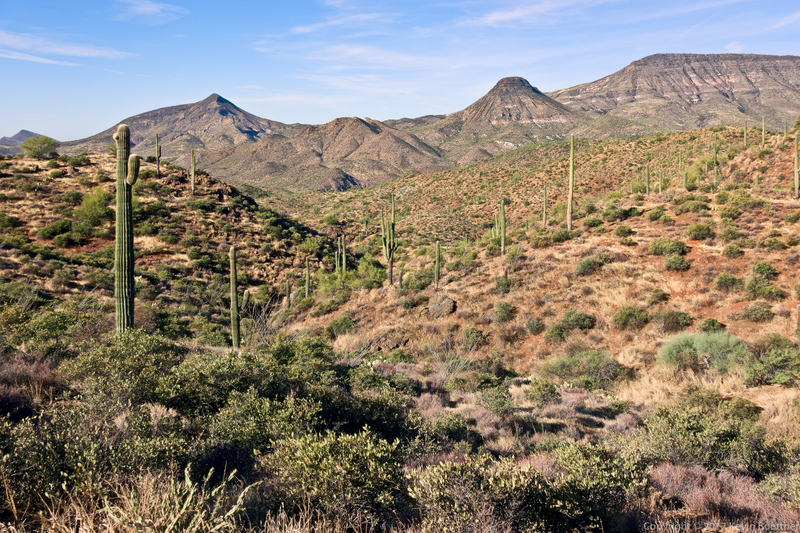 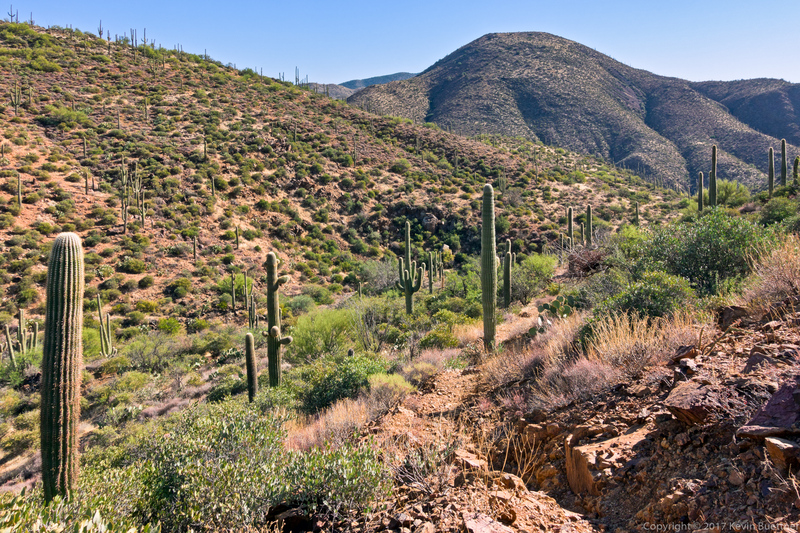 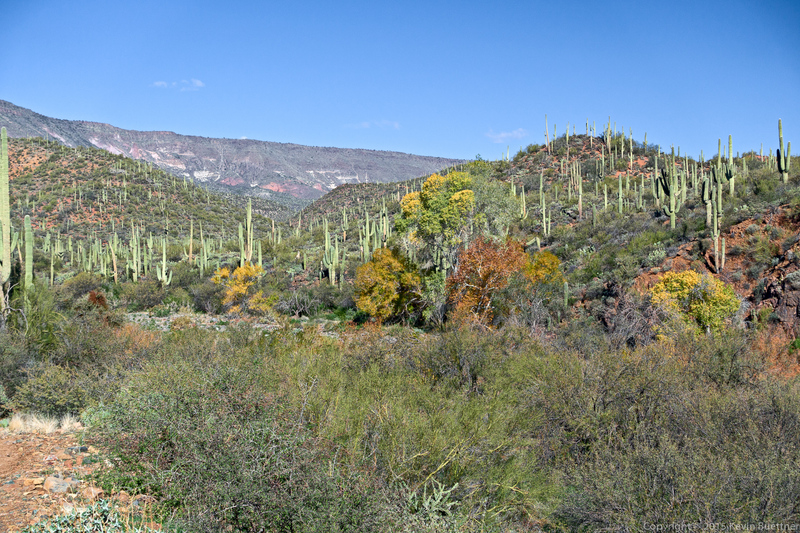 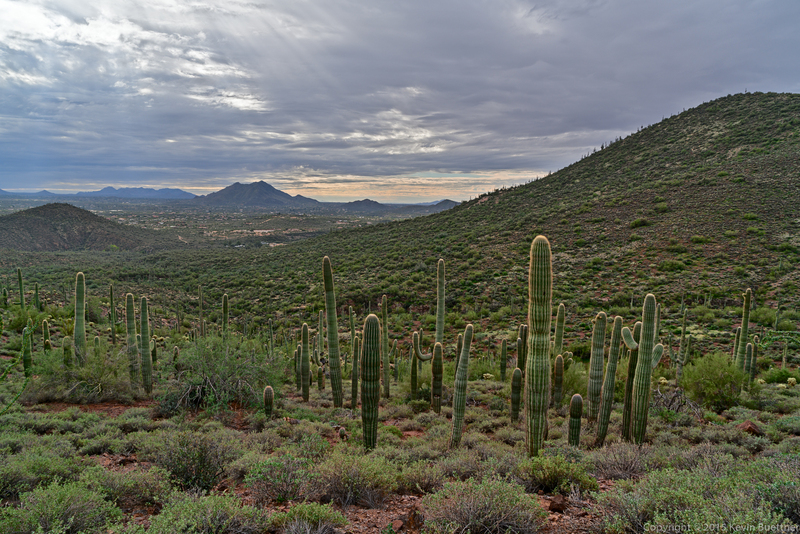 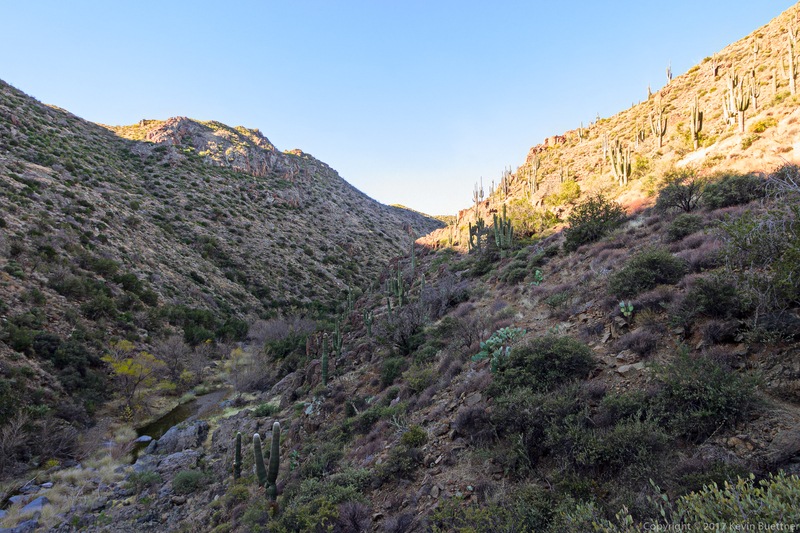 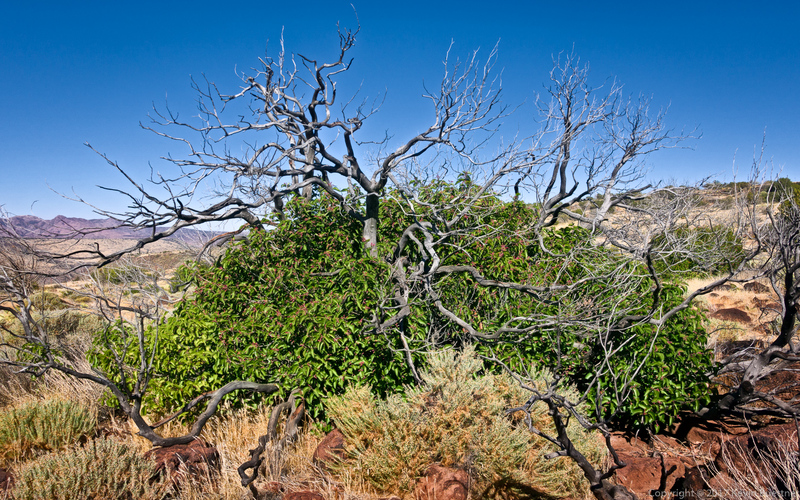 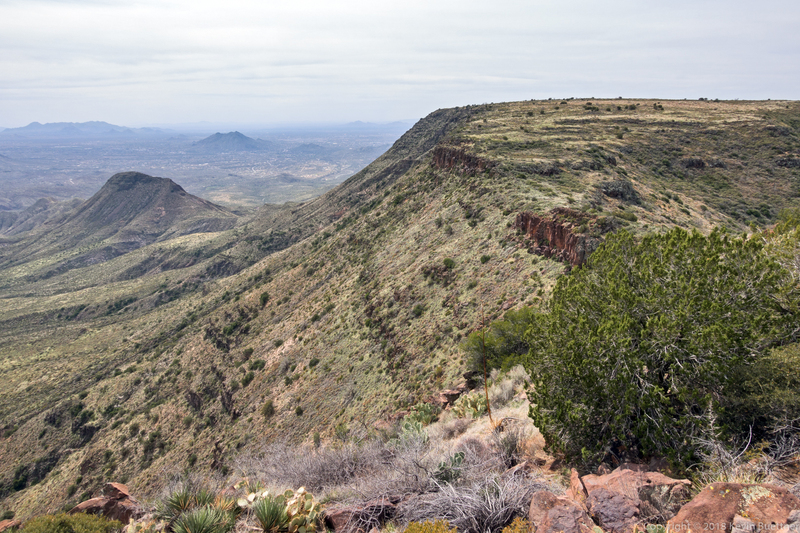 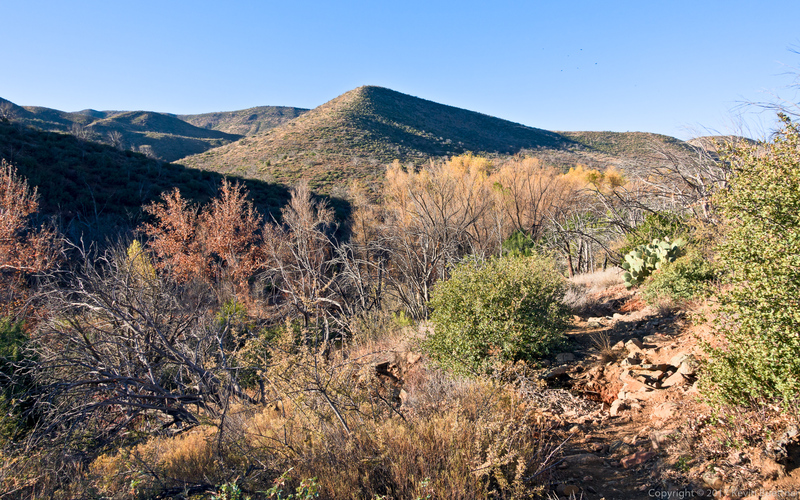 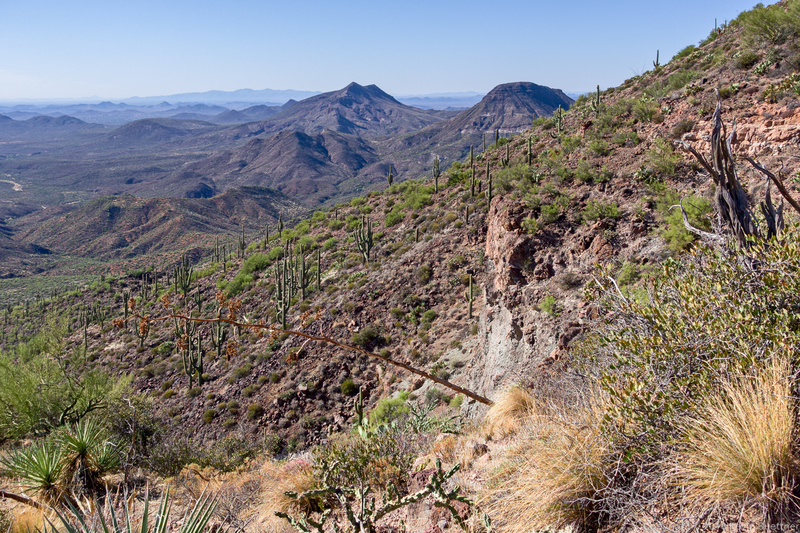 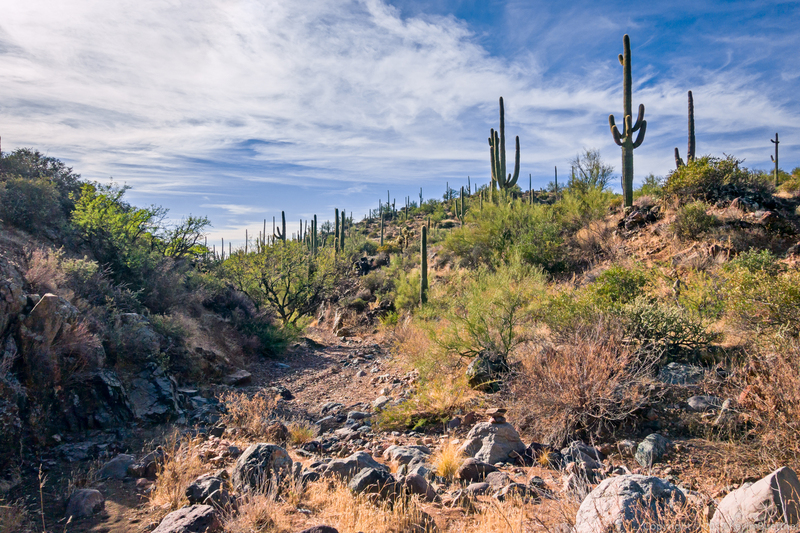 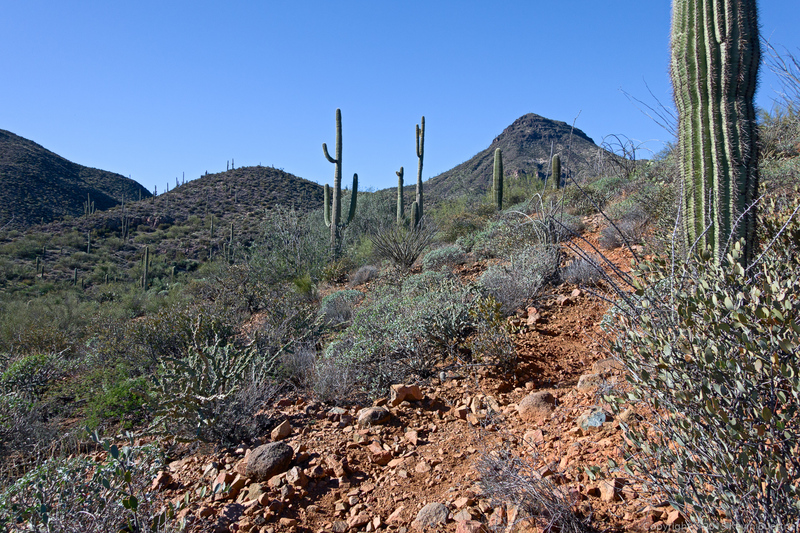 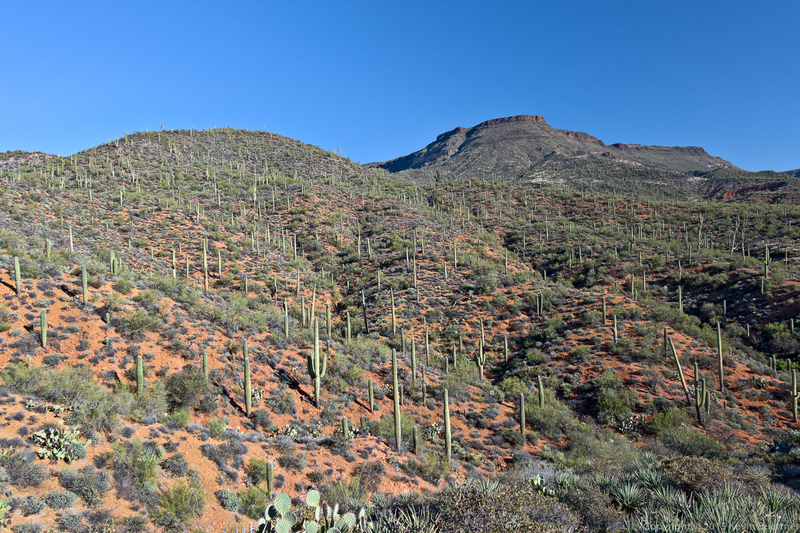 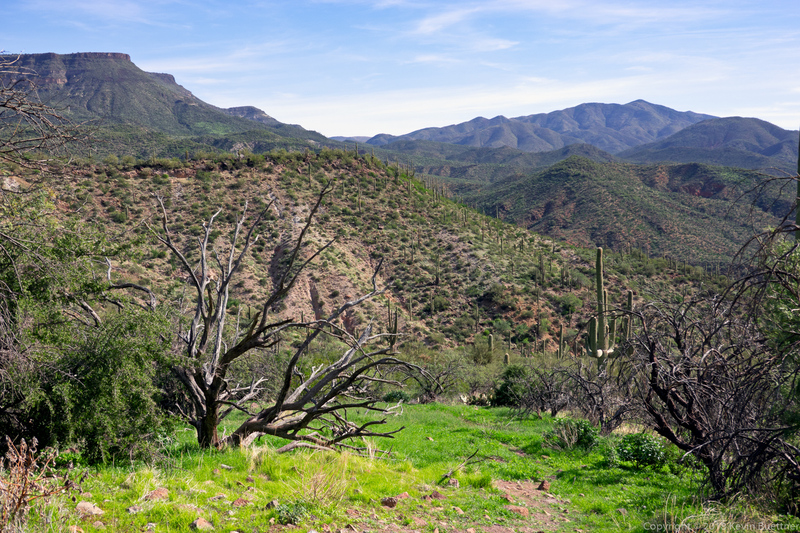 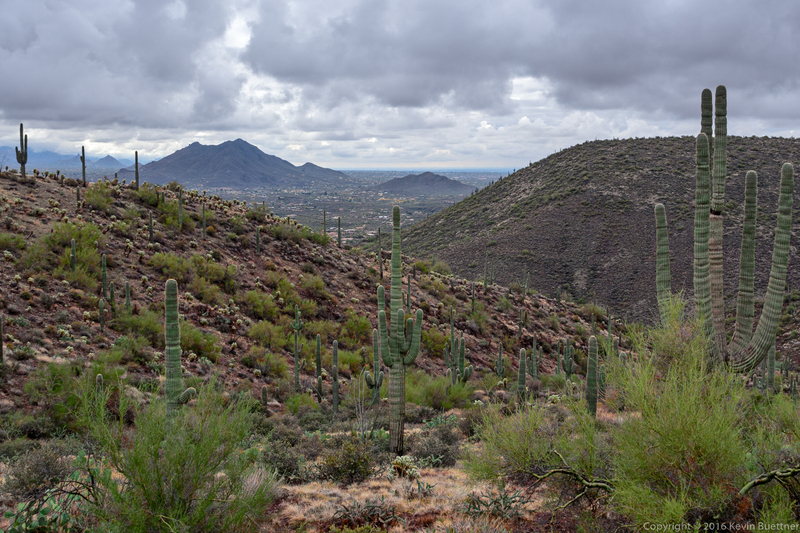 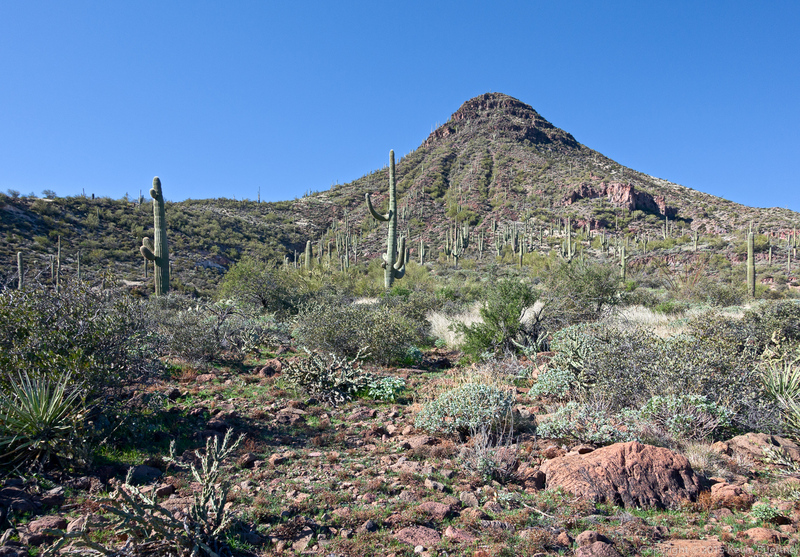 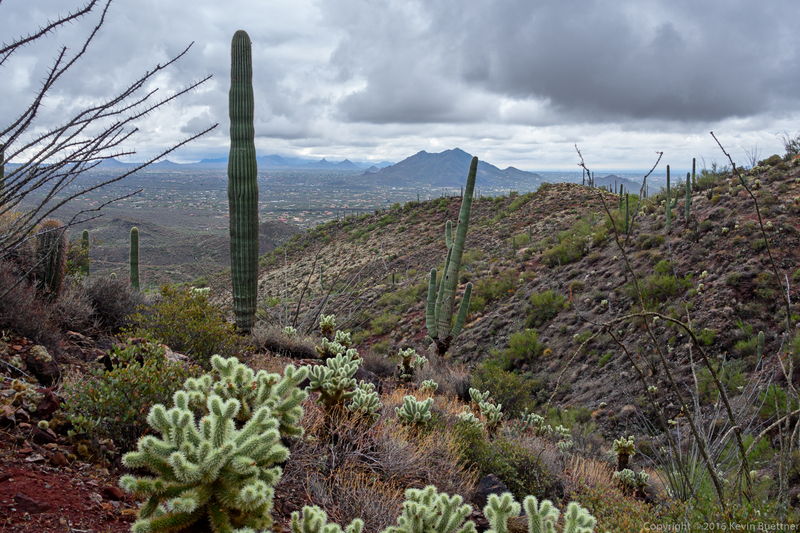 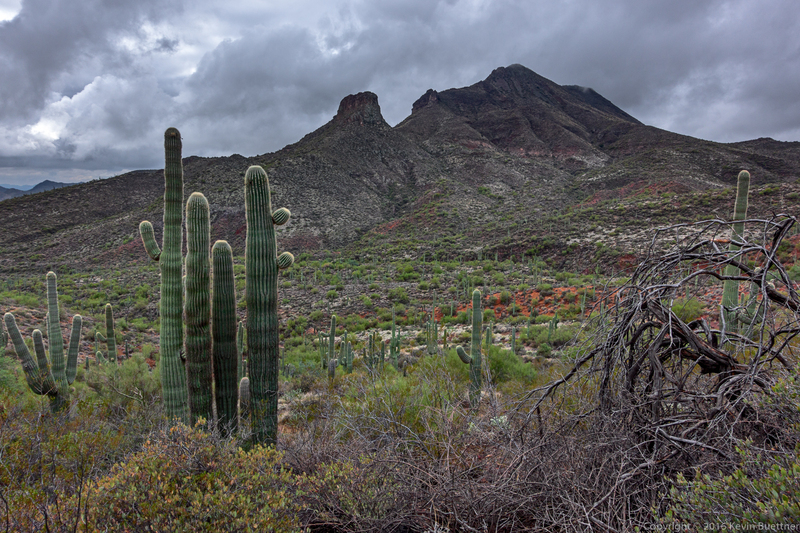 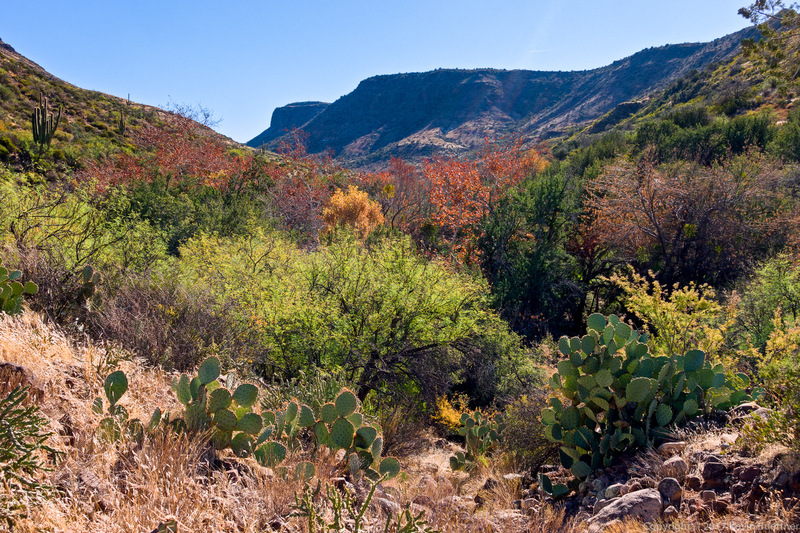 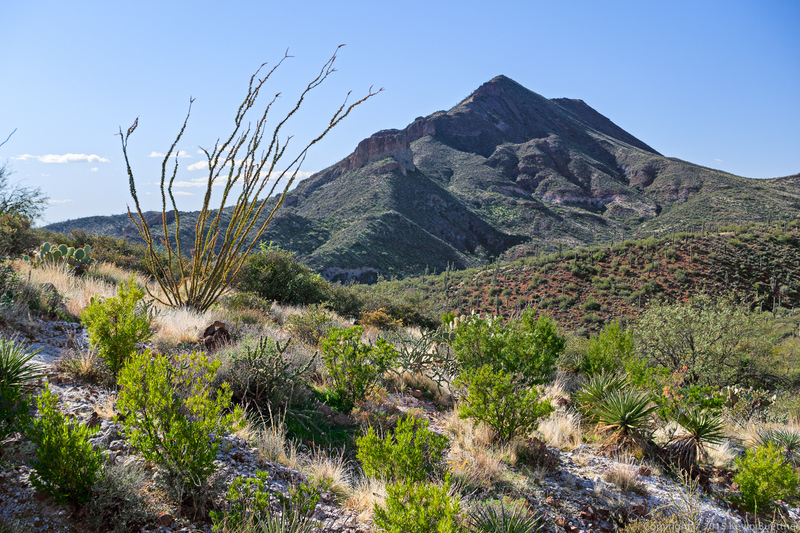 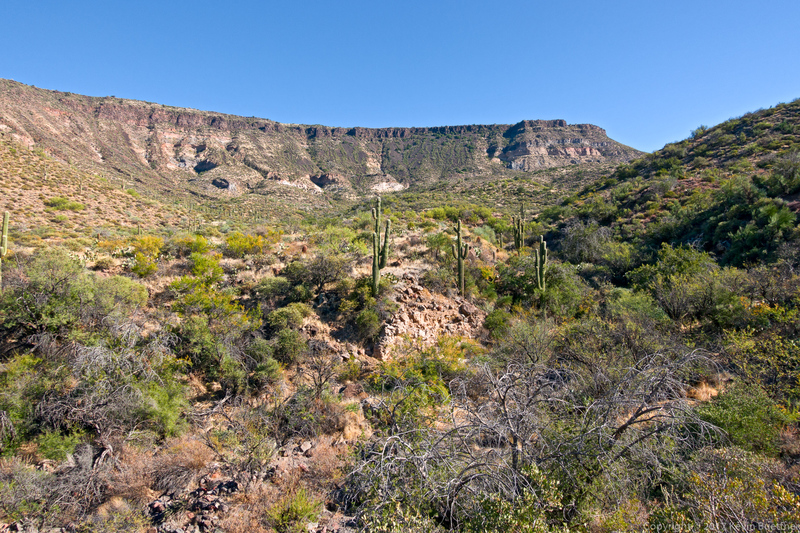 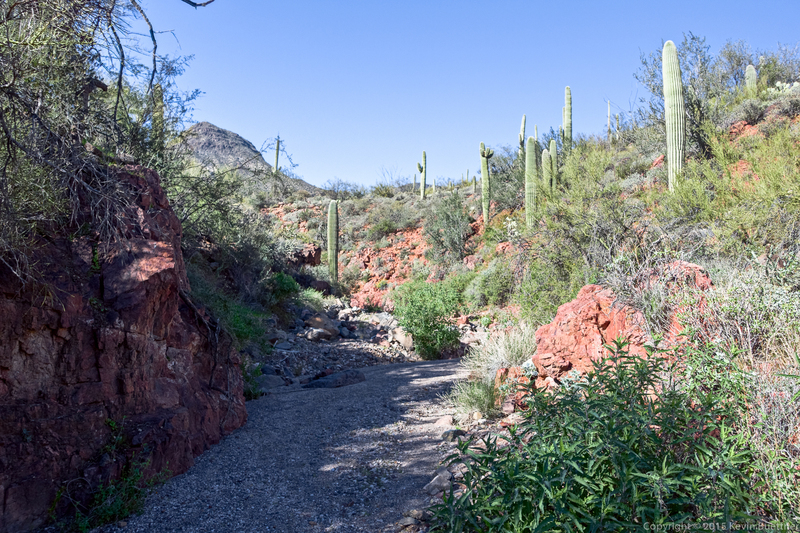 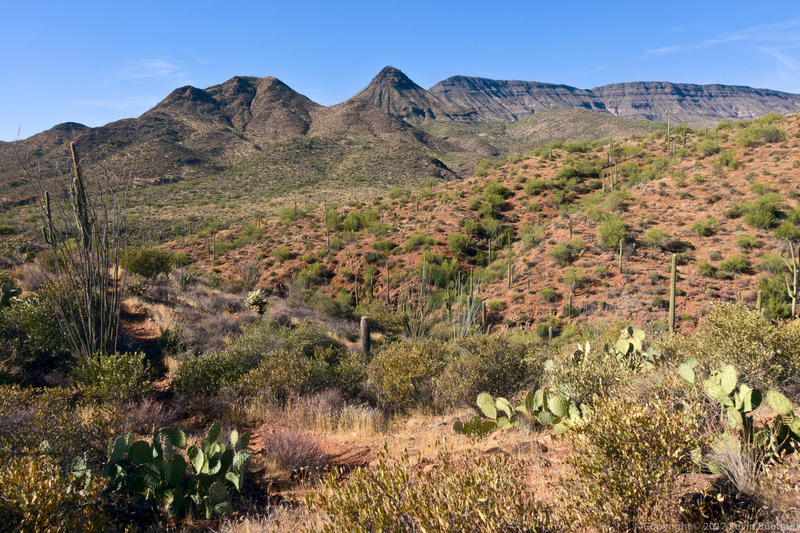 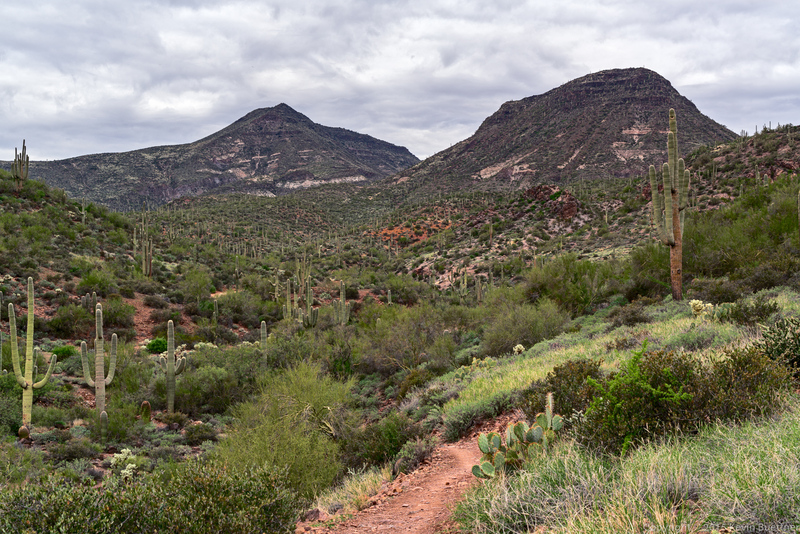 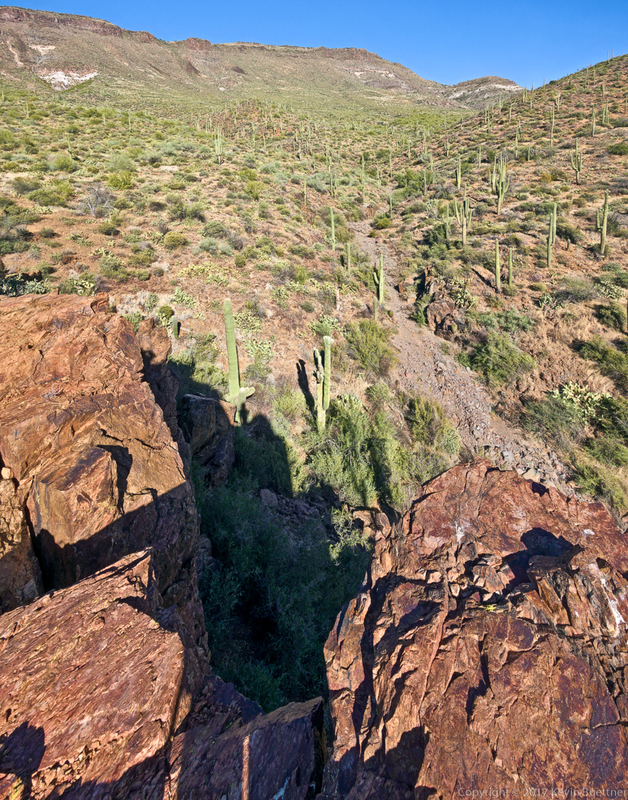 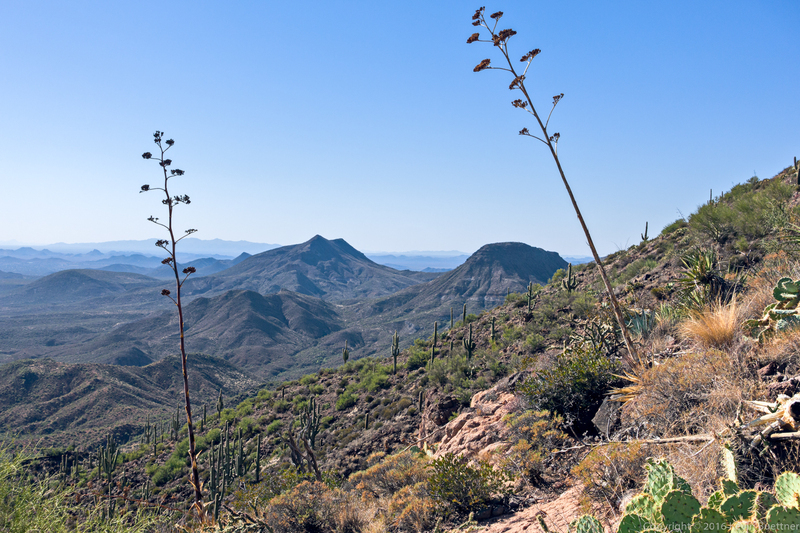 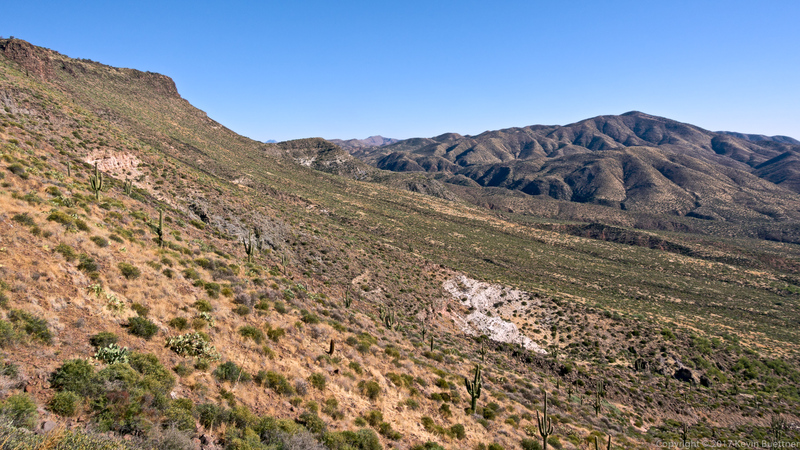 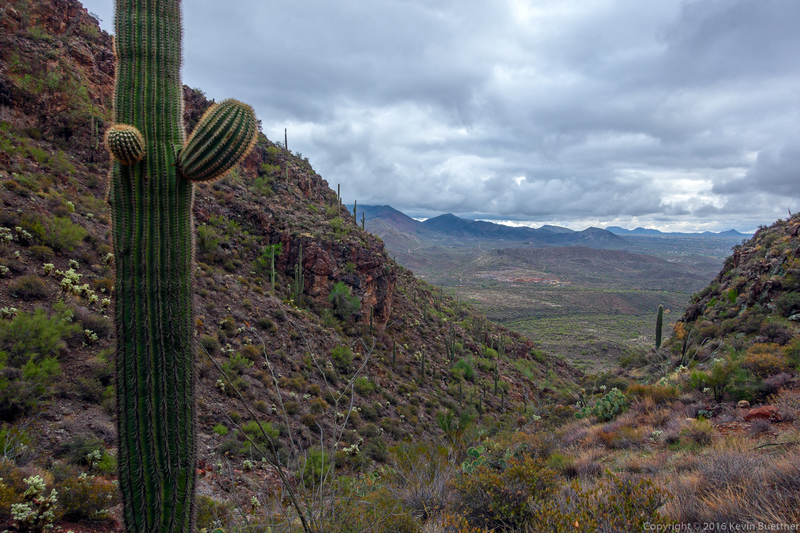 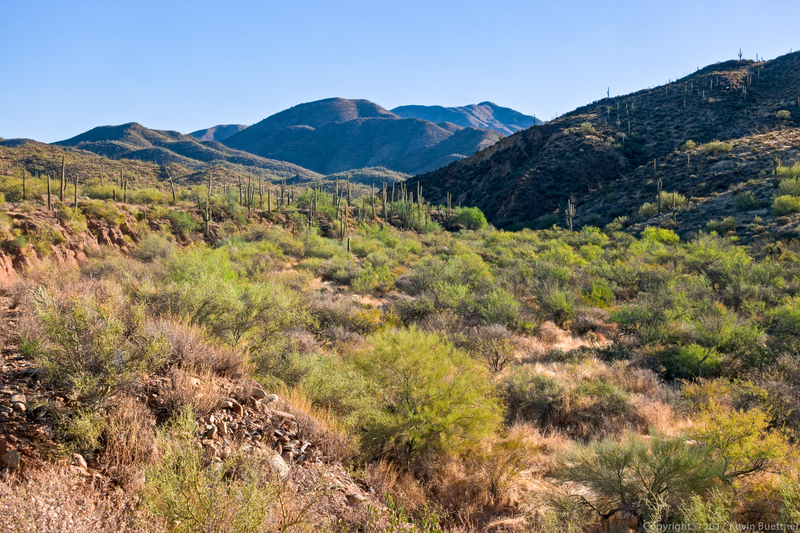 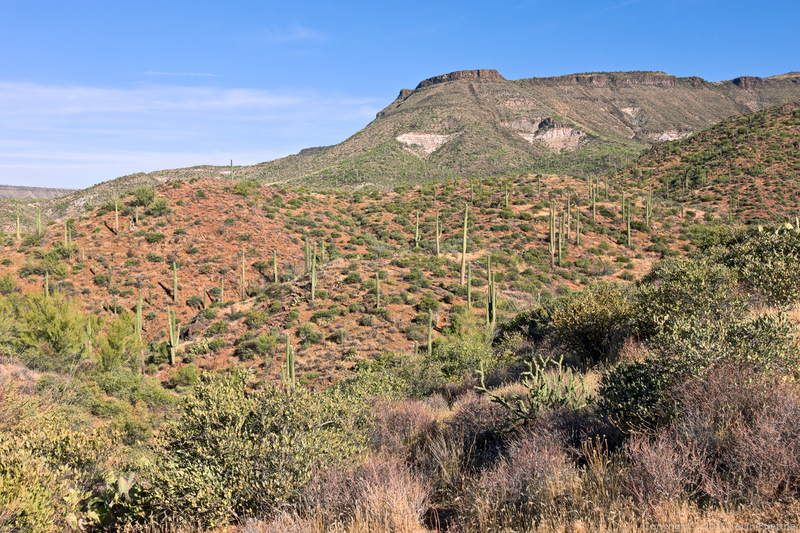 This is a view of Cave Creek (which was dry on the day we hiked) from the Spur Cross Trail. 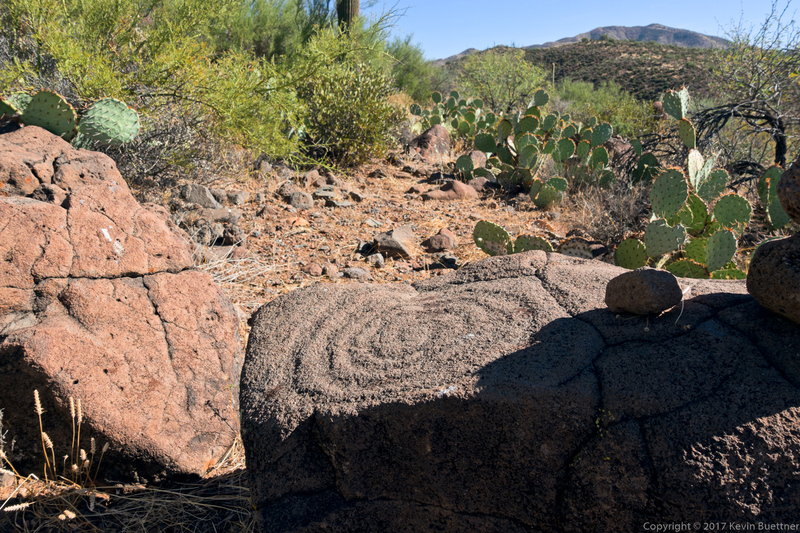 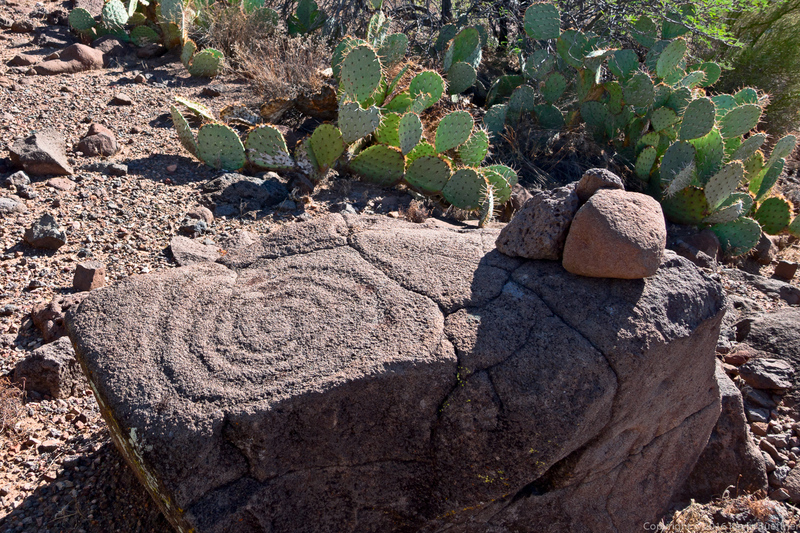 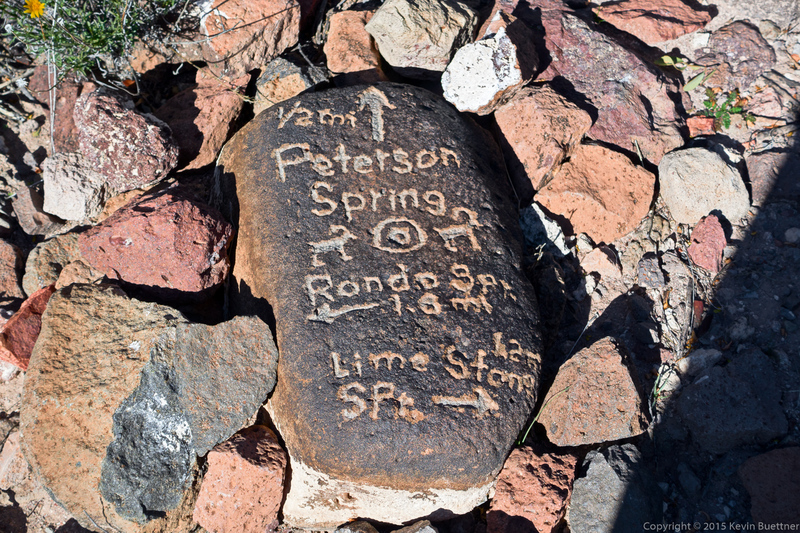 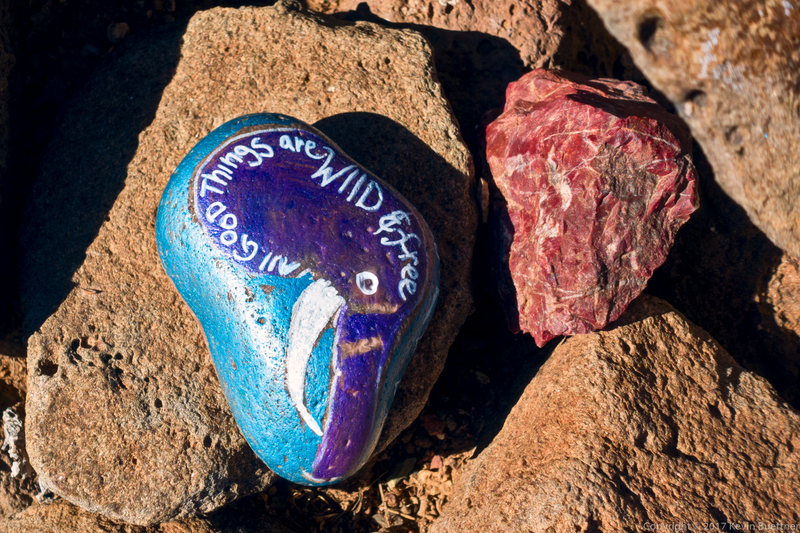 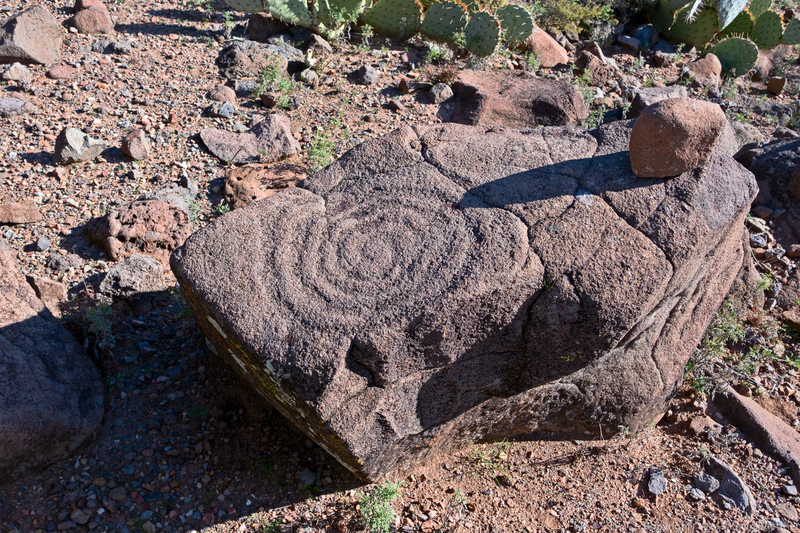 This petroglyph is on the Skull Mesa Trail, shortly after leaving the Cottonwood Trail – though you have to hike about five miles just to get to that intersection. 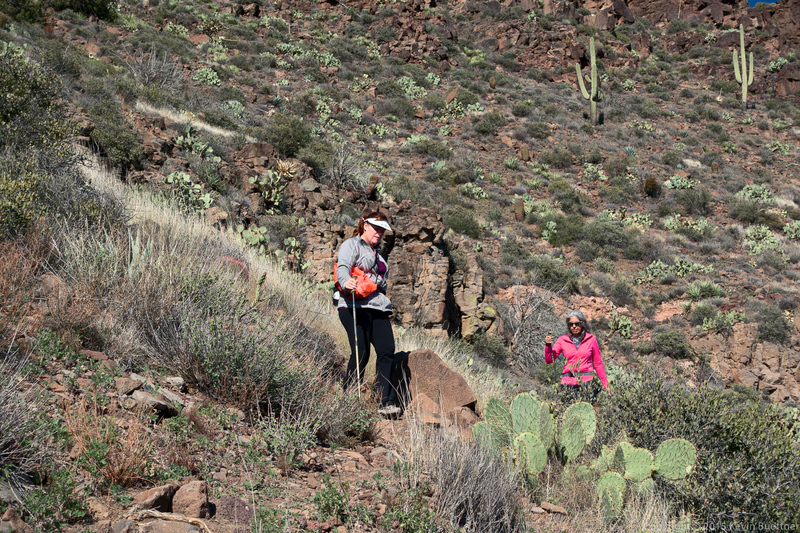 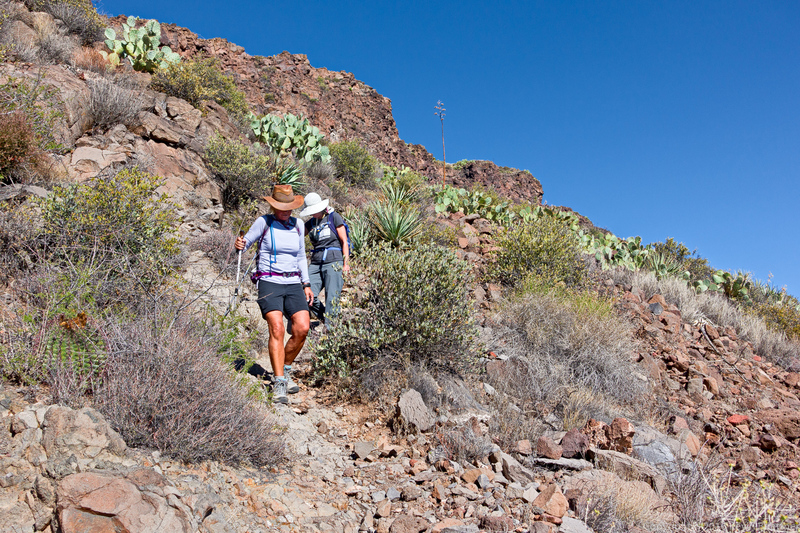 Nancy and Linda descending the Skull Mesa Trail. 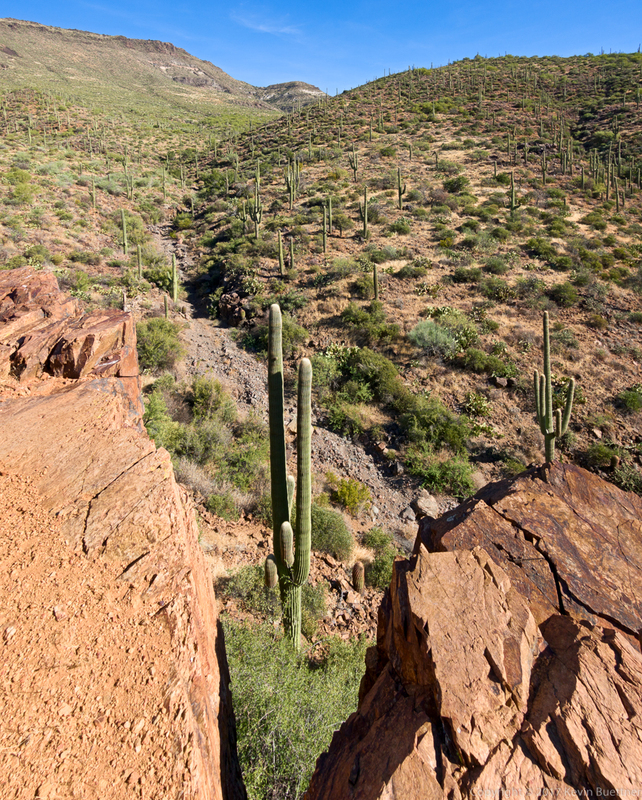 In some respects, the descent was more treacherous than the ascent.